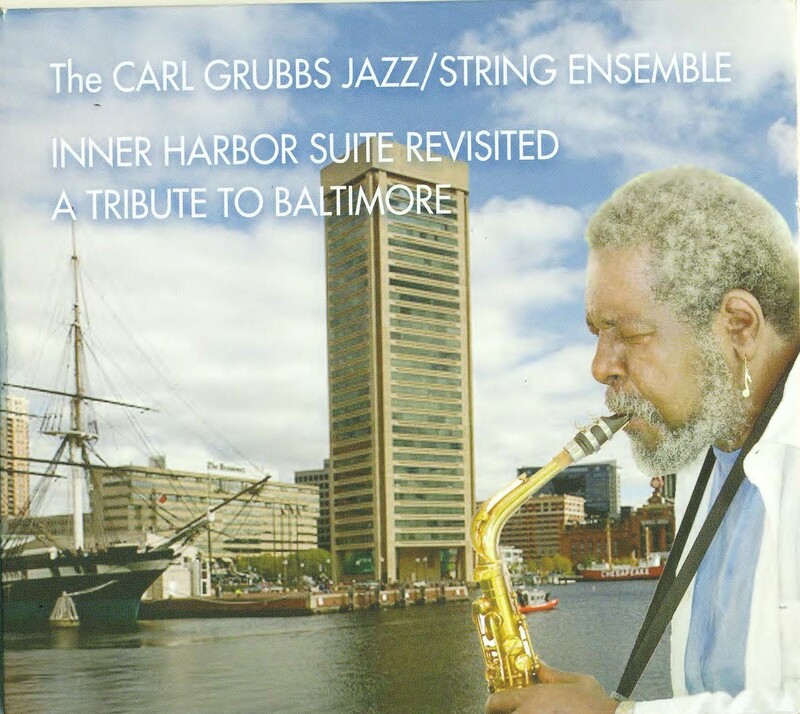 We honor Carl Grubbs, a performer last year at the Anacostia Community Museum, as one of our July birthday jazz heroes, along with Johnny Hartman, Hank Mobley, Billy Eckstine, Philly Joe Jones, Cal Tjader, Charlie Christian and others. 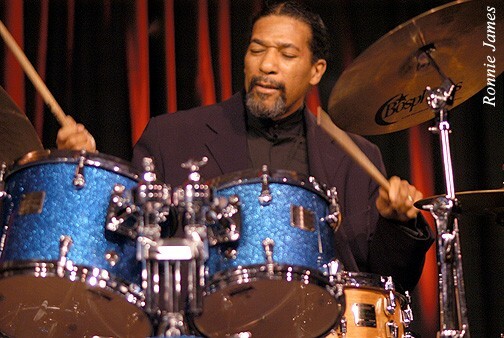 Drummer Keith Killlgo, master of the traditional jazz and jazz fusion worlds and other genres, leads the Tribute to Art Blakey show at 6 p.m. tonight, Friday June 29, at Westminster Presbyterian Church, while vocalist Jessica Boykin-Settles appears at Sotto, guitarist Mark Whitfield plays at Blues Alley and saxophonist Bruce Williams entertains at Twins Jazz. 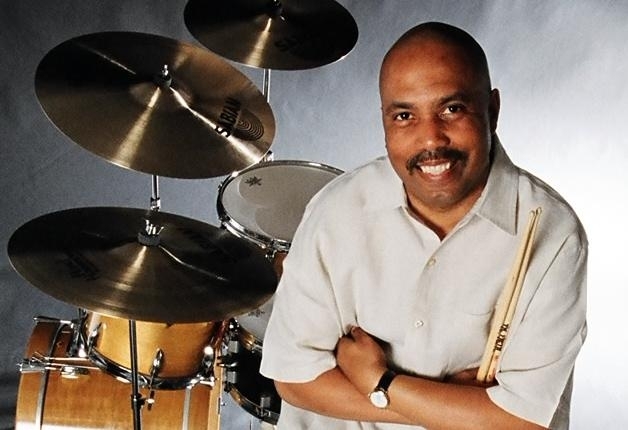 Killgo, who attended Howard University and was a member of trumpeter/educator Donald Byrd’s legendary, groundbreaking group The Blackbyrds, plays at Westminster with Jon Ozment, piano, Michael Bowie, bass, Thad Wilson, trumpet and Grant Langford, saxophone. 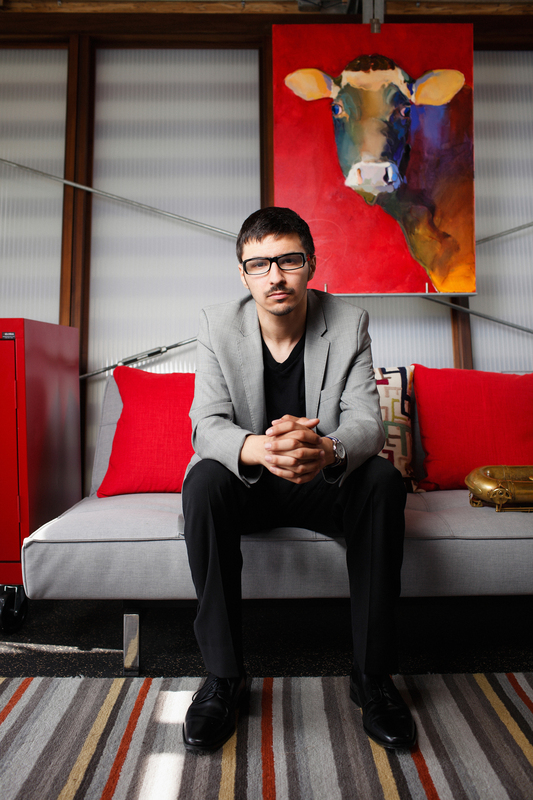 Following Boykin-Settles tonight at Sotto, pianist/keyboardist Frederico Pena performs there tomorrow, Saturday night. 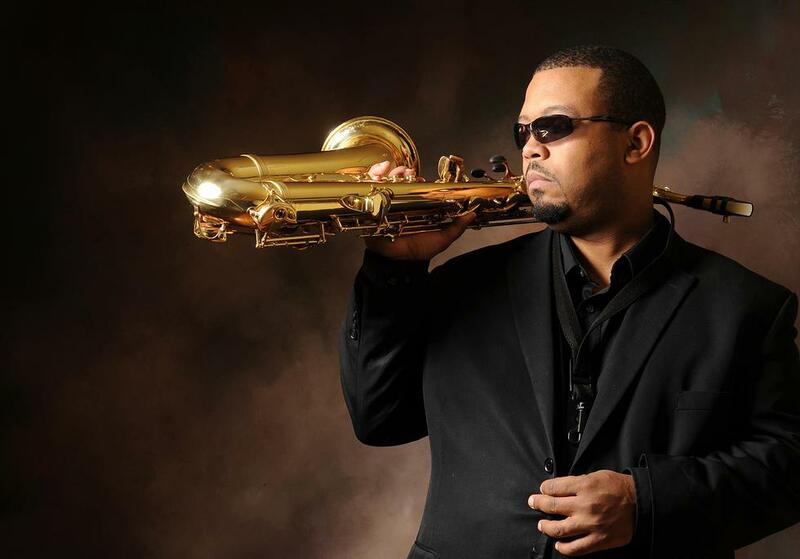 Saxophonist Williams is at Twins tonight and Saturday night, while vocalist Tony Compton appears at the DC Jazz Jam at the Brixton Restaurant Sunday, July 1. Bassist, composer Michael Bowie is at Blues Alley Monday, July 2 with his “Never Die Listening” CD release party. 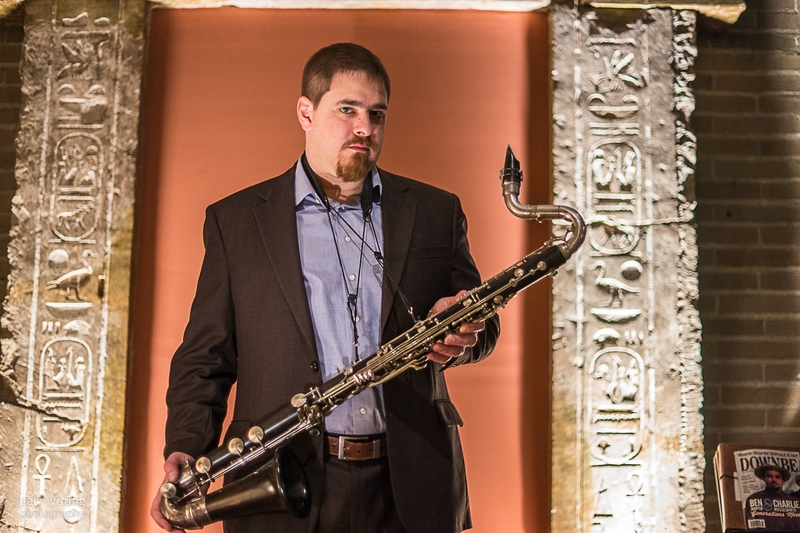 Next week saxophonist Ben Sands appears at Westminster July 6 with Vince Smith, piano, Wes Biles, bass, Ron Compton, drums and Tiya Ade, vocals. 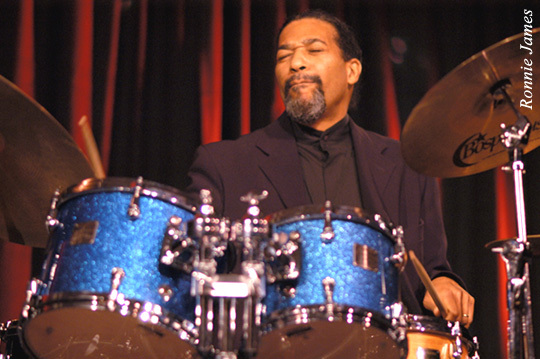 The John Lamkin “Favorites” Quintet appears at Twins Jazz July 6-7, with vocalist Sharon Clark at The Alex/Graham Georgetown Hotel July 7, and the Carl Grubbs Jazz Quartet presents “Bebop Madness: A Tribute to the Masters” July 7 at Germano’s Piattini (www.germanospiattini.com) in Baltimore. 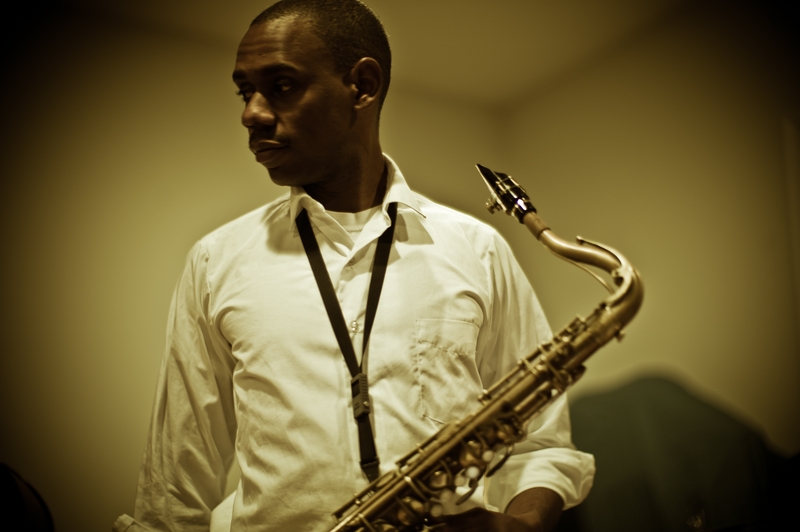 Saxophonist Dan Wallace is at the DC Jazz Jam at The Brixton July 8. Elsewhere, the Khalid Gray Unitet plays at Anacostia Arts Center for its “Second Sunday Jazz” show from 2 to 4 p.m. July 8 in a performance produced by the center (www.anacostiaartscenter.com) and East River Jazz (www.eastriverjazz.net). 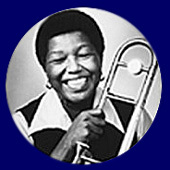 The Khalid Gray Unitet includes Gray on trombone, Julian Spires, piano/keyboard, Wally Davies, bass and Angeliqua Bethea, drums. The Anacostia Arts Center is at 1231 Good Hope Road, S.E. This is a free admission event, with donations “appreciated” according to East River Jazz. Online reservations are suggested. 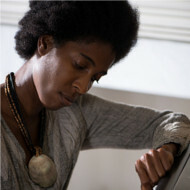 See http://www.anacostiaartscenter.com or http://www.eastriverjazz.net for more information. 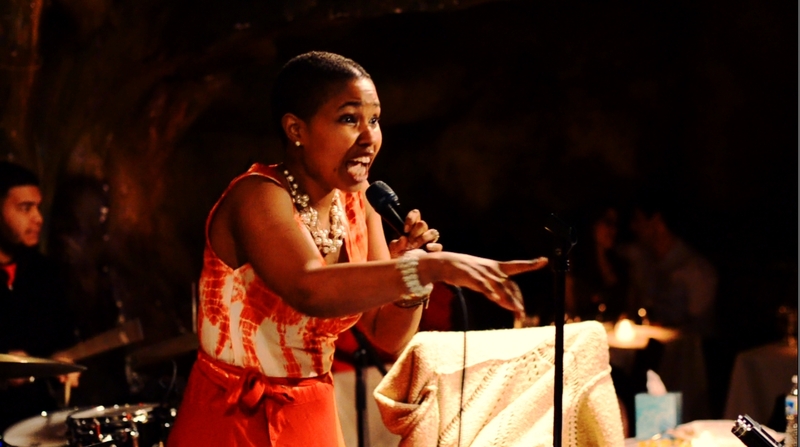 Also: Lake Arbor Jazz Festival Grand Finale Jam, July 15, Bethesda Blues & Jazz; Jordan Dixon, July 15, DC Jazz Jam/The Brixton; Pete Muldoon, July 22, DC Jazz Jam/The Brixton; Shannon Gunn & The Bullettes, July 16, Blues Alley; Brad Linde, July 17, An die Musik/Baltimore; Duane Eubanks Quintet, July 18, Blues Alley; Lena Seikaly, July 18, Live from the Lawn/Strathmore; and Poncho Sanchez, July 19, Blues Alley; Steve Washington, July 20, Westminster; New Directions in Music/George Spicka, July 20, Maryland Institute College of Art; Project Natale, July 20-21, Twins Jazz; Paige Wroble, July 21, The Alex; Clarence Ward III & DMV Collective, July 21, An die Musik; Pete Muldoon, July 22, DC Jazz Jam/The Brixton; Fairfax Swing Jazz Ensemble, July 23, Blues Alley; Jeff Antoniuk & John D’Earth Quintet, July 24, Blues Alley; Joe Vetter Quartet, July 25, Twins Jazz; A DC/Baltimore Connection, July 27, Westminster; Jazz Night at the Movies/Art Blakey, July 27, Westminster; Kenny Rittenhouse, July 27-28, Twins Jazz; Lionel Lyles, July 28, Germano’s Piattini/Baltimore; “Bass In 3D Rex + 2/Mike Bowie/JamesKing/Steve Novosel, July 28, NOVA Community College/Alexandria; Integriti Reeves, July 28, The Alex/Graham Georgetown Hotel; Charles Covington Trio, July 28, An die Musik/Baltimore; Lenny Robinson, July 29, DC Jazz Jam/The Brixton. The book “DC Jazz,” edited by Maurice Jackson, associate professor of History and African American Studies at Georgetown University, and Blair Ruble, vice president for programs at the Woodrow Wilson International Center for Scholars, was released in June. It is a welcome expansion on the special 2014 “Jazz in Washington” issue from the Historical Society of Washington (www. 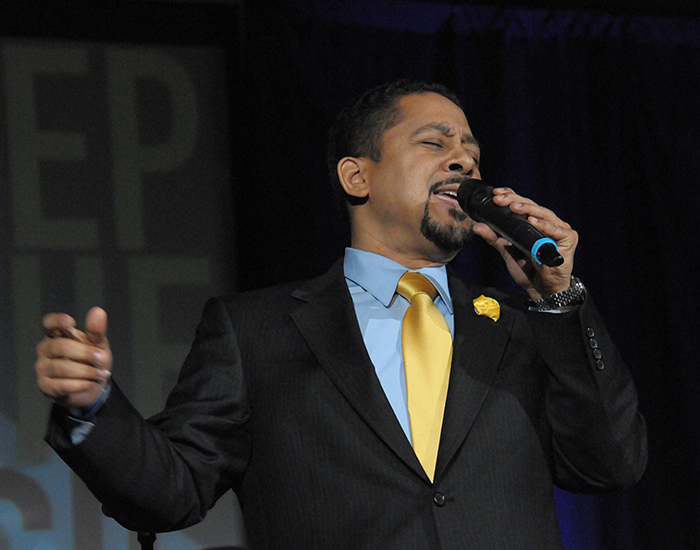 dchistory.org), a publication noted frequently in recent years in Jazz Avenues. The original articles in that publication have been augmented by: chapters honoring women in the D.C. jazz scene, by Bridget Arnwine of http://www.beatsandbebopmedia.com; a history of Howard University and the Howard University Jazz Ensemble’s role in the music, by Lauren Sinclair, HU violinist and faculty member at American University; reflections on the University of the District of Columbia’s special contributions to jazz in D.C., by Judith A. Korey, professor of music and curator of the Felix E. Grant Jazz Archives at UDC; and poetry by E. Ethelbert Miller. 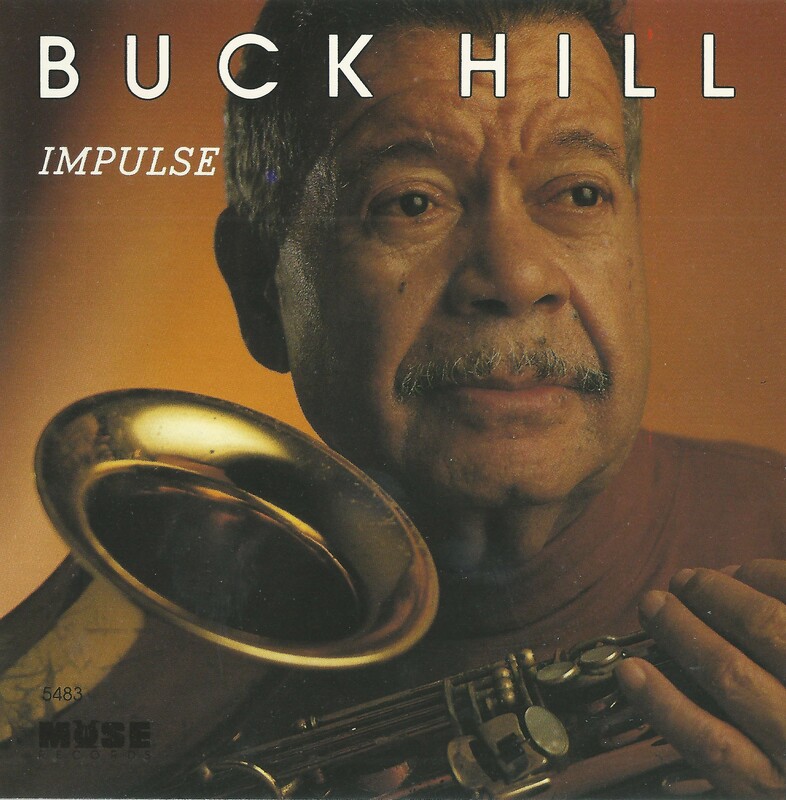 The book, dedicated to Roger “Buck” Hill and Geri Allen, also includes a foreword by Jason Moran, pianist, Artistic Director for Jazz at the Kennedy Center and Distinguished Artist in Residence at Georgetown University. For more information and to purchase the book see http://www.press.georgetown.edu and http://www.dchistory.org. The DC Jazz Festival has announced The Cornerstore as the winner of its third annual DC JazzPrix, following a competitive international final concert show that was part of June’s 14th annual DC JazzFest presented by Events DC. The finals took place before “an enthusiastic, standing room only audience” at the Hyatt House at The Wharf.in Southwest. 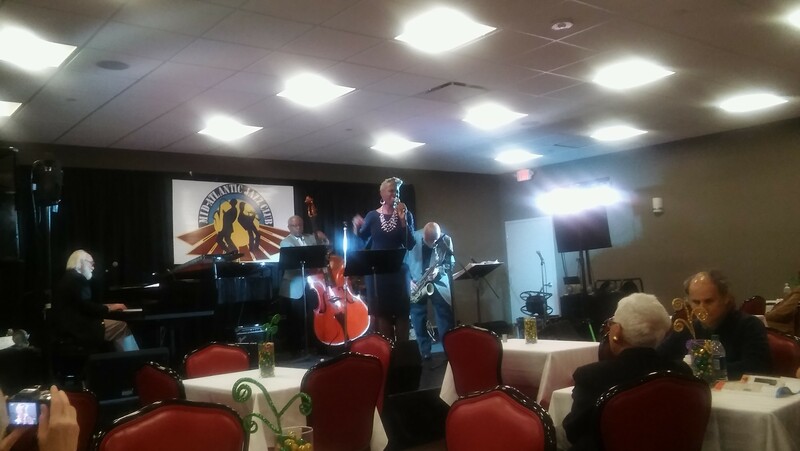 The Cornerstore, led by bassist Kris Funn and based in Baltimore, competed in the finals against four fellow finalists: Jonathan Barber & Vision Ahead (NYC), Emmet Cohen Trio (NYC), Roxy Coss Quintet (NYC), and the LRK Trio (Moscow, Russia). 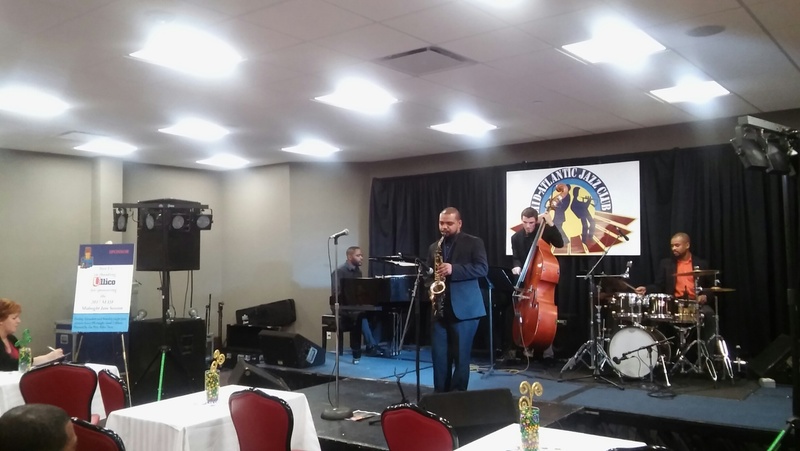 In addition to a $15,000 cash prize, The Cornerstore earned a year-long association with the DCJF for professional development consultation, business support and a mainstage 2019 DC JazzFest engagement, according to DC Jazz Festival information. 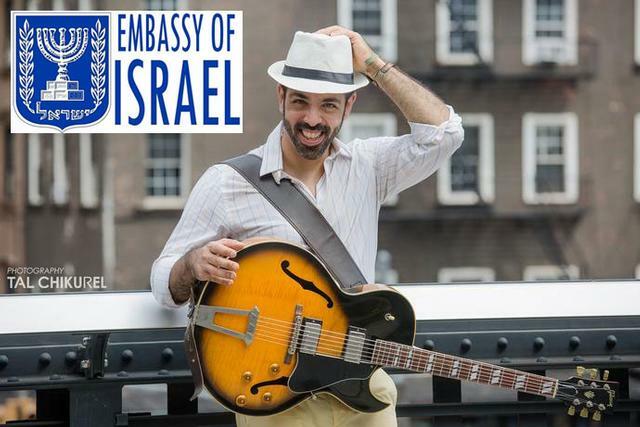 “We are thrilled to have very successfully completed our third DCJazzPrix, which this year became an international competition, adding even more cultural diversity to the DC Jazz Festival’s burgeoning global offerings. DCJazzPrix is designed to help launch and promote the careers of emerging jazz ensembles,” said DCJF Executive Director Sunny Sumter. The Cornerstore includes Howard University graduate Funn, John Lee, guitar, and Funn’s fellow HU alum Quincy Phillips, drums. Between them they have performed with such artists as Sean Jones, Christian Scott, Pharoah Sanders, Benny Golson, Roy Hargrove, Christian McBride, Nicholas Payton, Kamasi Washington, Hassan Hakmoun, Cyro Baptista, Fatoumata Diawara and many others. Cornerstore released its first album “CornerStore” in 2017. For more information see http://www.cornerstoremusic.com. 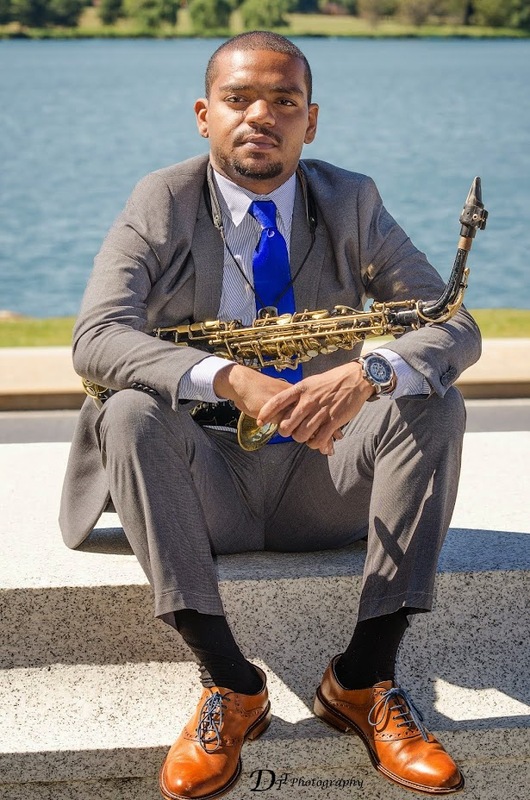 The Petworth Jazz Project in Northwest D.C., a free, outdoor, live jazz series, features saxophonist Elijah Jamal Balbed in performance at 6 p.m. July 29 for a show billed as “Elijah Jamal Balbed Presents an Evening of Jazz and Go-Go.” Balbed, our own wunderkind of New York City jazz scene experience and multi-genre musicianship, delivers jamming shows playing mainstream/contemporary/free with his various groups — and go-go/hip hop influenced sounds with his JoGo Project group. Started in May of 2011 in the Petworth neighborhood of D.C., the jazz shows are on the lawn of the Petworth Recreation Center at 8th and Taylor St. NW. Concerts occur on the last Saturday of each month May through September. All shows begin with a 40-minute kids show. 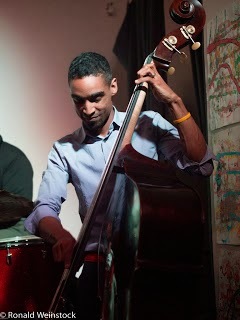 For more information go to http://www.petworthjazz.com, http://www.elijahjamalbalbed.com or http://www.jogoproject.com. 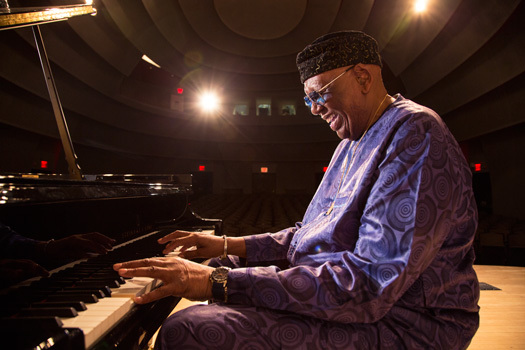 In case you missed these items, Willard Jenkins, DC Jazz Festival guru and WPFW-FM programmer, featured our own musician, historian, WPFW-FM programmer Brother Ah in Jenkins’ Open Sky blog in May. Check it out at http://www.openskyjazz.com/2018/05/a-life-in-music-from-robert-northern-to-brother-ah/. And noted writer Michael J. 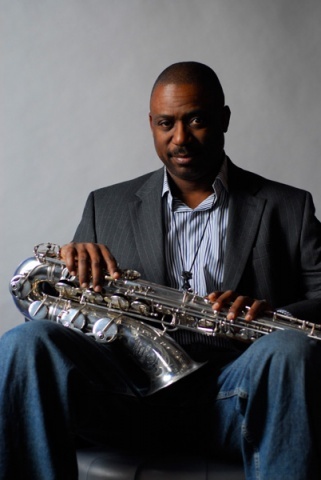 West, who has started a weekly column, “Crescendo in Blue” in Washington City Paper, featured the Jazz and Cultural Society in a story for the Washington Post. 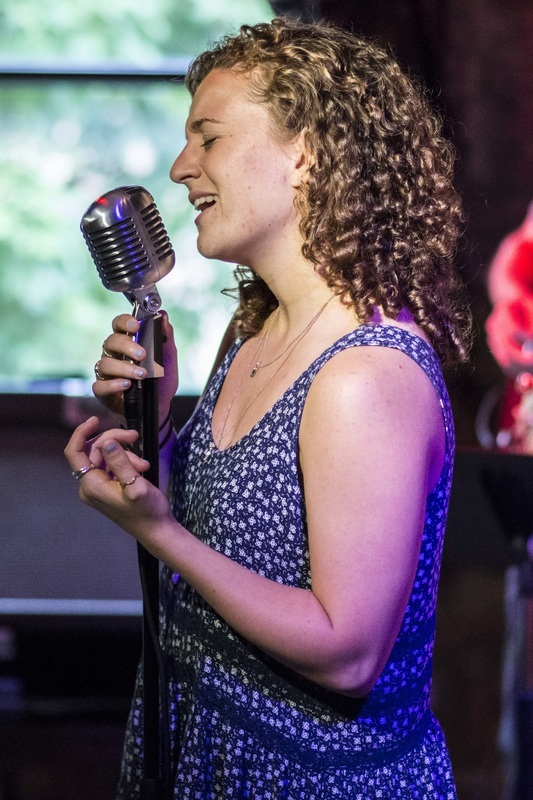 See https://www.washingtonpost.com/goingoutguide/music/at-alices-jazz-and-cultural-society-theyre-there-to-hear-the-music/2018/05/08/90fbe46c-4ee9-11e8-b725-92c89fe3ca4c_story.html?noredirect=on&utm_term=.0ea08e71ab18. Tia Fuller’s performance at City Winery was one of the highlights of June’s DC Jazz Festival, with the alto saxophonist and composer following the rousing show by the opening String Queens with a rousing show of her own, blowing some hot, soaring and wailing licks on tunes from her recent “Diamond Cut” album, and tender, enchanting riffs on Cole Porter’s tune “I Love You,” while supported in fine form by her group, in particular by some scintillating licks from guitarist Andrew Renfroe. Fuller, a native of Aurora, Colo., is a touring artist and also full-time professor at the Berklee School of Music. 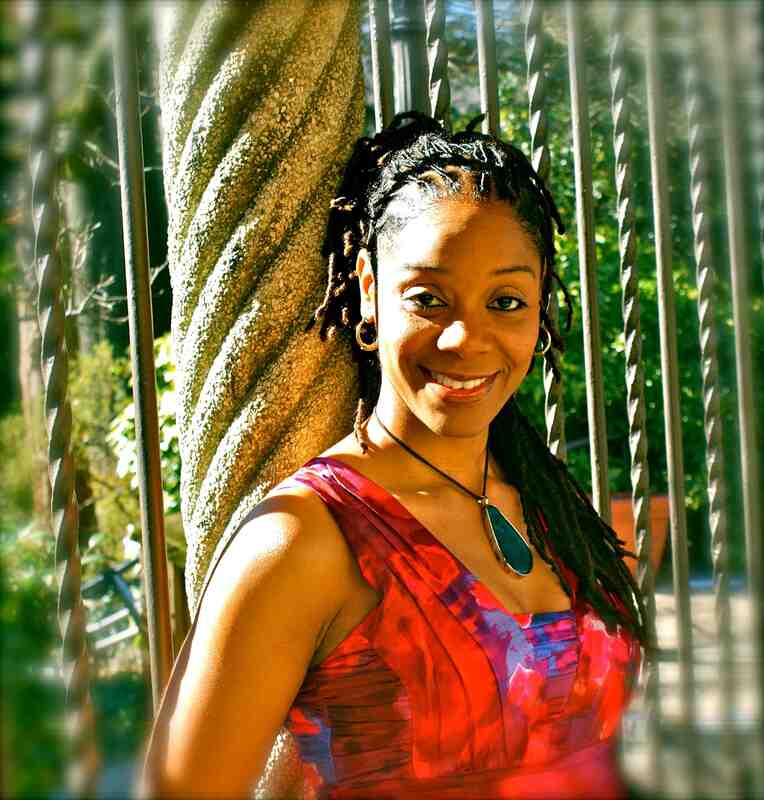 She has a Bachelor of Arts degree in music from Spelman College in Atlanta, and master’s degree in Jazz Pedagogy and Performance from the University of Colorado at Boulder. 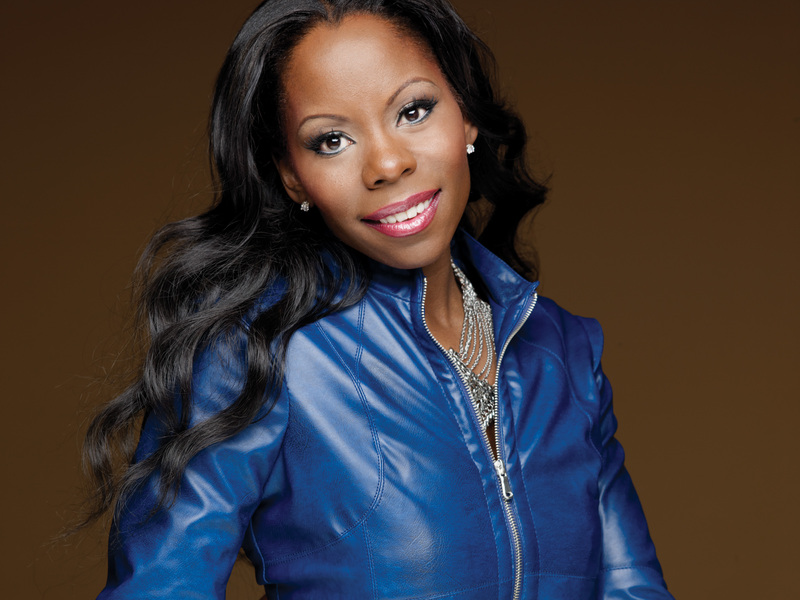 Tia’s quartet has performed world-wide, including: Angola, Croatia, South Africa, North Sea, Umbria, Edinburgh jazz festivals, and NYC’s prestigious Lincoln Center’s: Dizzy’s Club Coca-Cola, just to name a few, according to her website http://www.tiafuller.com. Saxophonist and trumpeter Clarence Ward III blew some ripping licks on both instruments on tunes like “Star Eyes” and “Misty” and his own originals during his show at Alice’s Jazz and Cultural Society, backed by Mark Meadows’ bright ripples on piano and bassist Kris Funn’s grooving bass work. 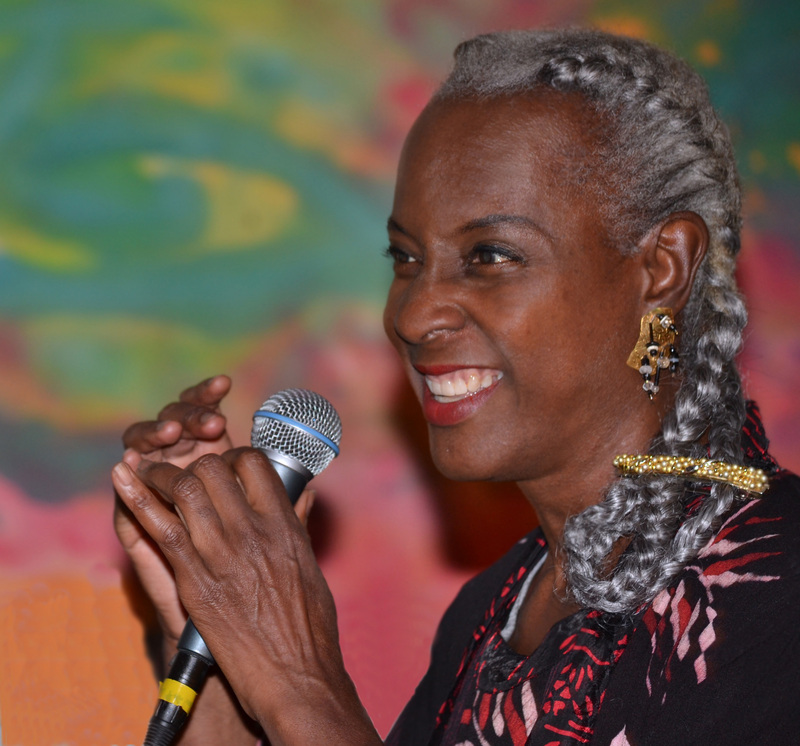 Vocalist Rochelle Rice delivered an impassioned set at The Wharf that last Sunday of the festival with a stirring ”Think of The Children” and “Stella by Starlight,” among other tunes, with Brent Birckhead on sax and Meadows on piano providing fine musicianship behind her. Also that last day, Chilean saxophonist Melissa Aldana pleased a large crowd with some funky, soulful and then contemplative, melancholy streams of spirited riffing during her set at The Wharf. Reginald Cyntje’s group with Brian Settles on sax played some sparkling Caribbean/calypso tunes, and Ancestral Memories, led by saxophonist Yosvany Terry jammed away on that sunny afternoon for the festival crowds along the river. 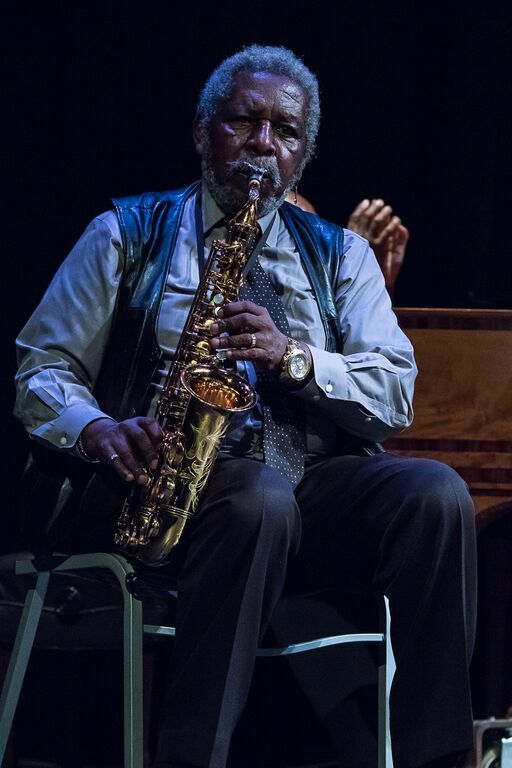 Some of the other fine performances around town we wanted to mention include tenor saxophonist Frank Mitchell Jr.’s set at a new venue, the Colony Club on Georgia Ave. Northwest in D.C., in May when he riffed mightily on “All The Things You Are,” “Impressions” and “St. Thomas” with a big, bluesy tenor voice and wry, playful lines, backed in grooving form in particular by his bassist Alex Nowak and drummer Mylie Durham IV. That same night the John Lamkin II “Favorites” Quintet pleased a large crowd at the Jazz and Cultural Society in Northeast D.C., trumpeter and flugelhornist Lamkin with clean, glowing lines on standards and some funky, searing riffs on more soul jazz tunes, backed by Bob Butta’s vintage melodic journeys on piano, the booming bass lines of Michael Graham and drummer Jesse Moody’s often funky splashes and rolls. Elijah Jamal Balbed led his JoGo Project in a funky, jamming, driving set at Marvin’s on 14th Street N.W. 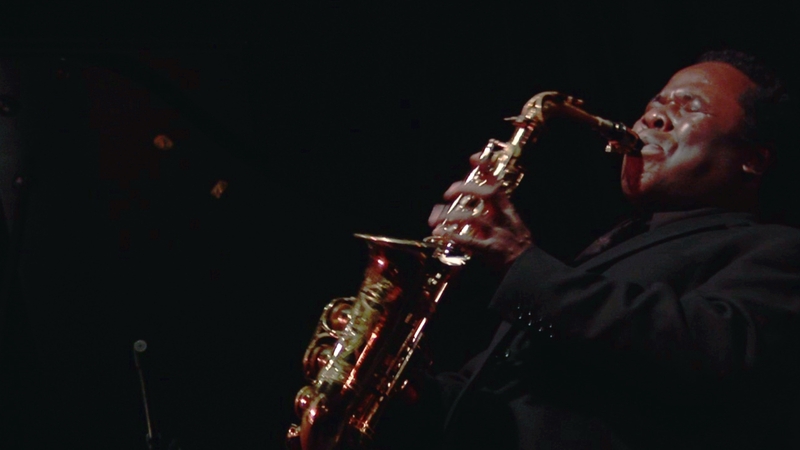 in D.C. later in May, with Balbed himself doing some rapping and jiving along with playing his usual killer tenor sax riffs to the go-go, jazzy beat as the horns, drums and other instruments and vocalists filled the room with a non-stop party. Sam Prather on keyboards highlighted the melodies, with Balbed’s group delivering a signature mix of genres and sounds for the, at one point, standing room only crowd. 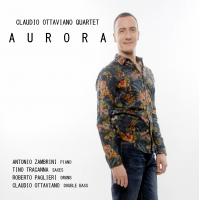 Here’s a shout out to Italian double bassist Claudio Ottaviano, who submitted his most recent album “Aurora” for comment and the CD deserves acclaim for its clean, expert musicianship, by Ottaviano, pianist Antonio Zambrini, saxophonist Tino Tracanna and drummer Robert Paglieri. Highlights for this listener are the darkly intriguing “Cabaret Noir” and the intimately absorbing “Private Eyes,” on an album brimming with romance and melancholia. Steve Monroe is a Washington, DC, writer who can be reached at steve@jazzavenues.com and followed at www.twitter.com/jazzavenues. 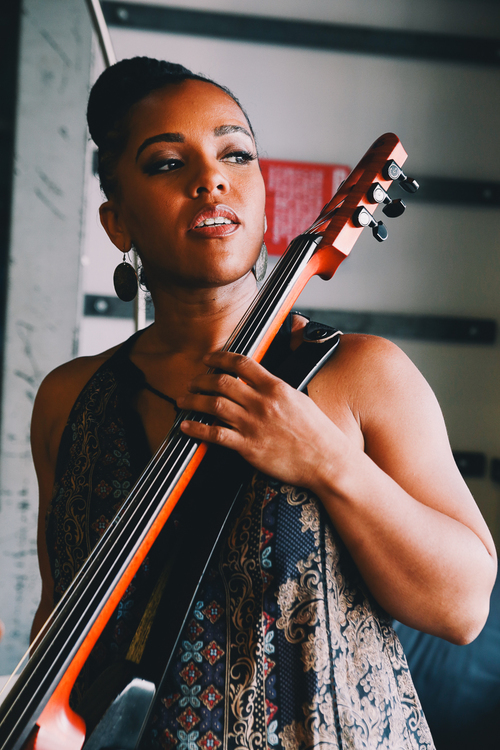 Vocalist Lori Williams, all-star bassist Buster Williams, saxophonist Sarah Hughes and John Lamkin II head the tasty live jazz menu for the area this weekend as March takes flight, with the Washington Women in Jazz Festival coming up next weekend. 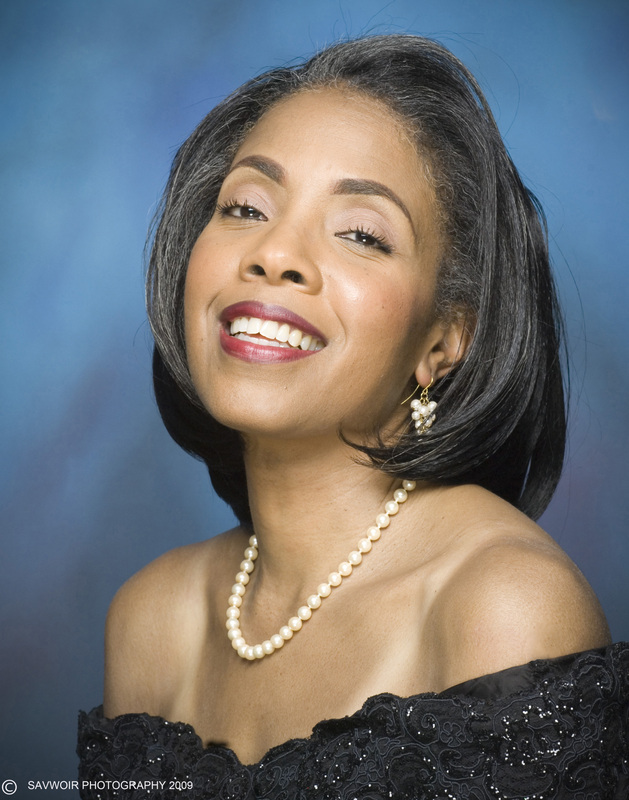 Lori Williams performs in a tribute to the Deltas & Lou Taylor at 6 p.m. at Westminster Presbyterian Church tonight, Friday March 2, with Benje Porecki on piano, Tracey Cutler, sax, Zach Pride, bass and Mark Prince, drums. 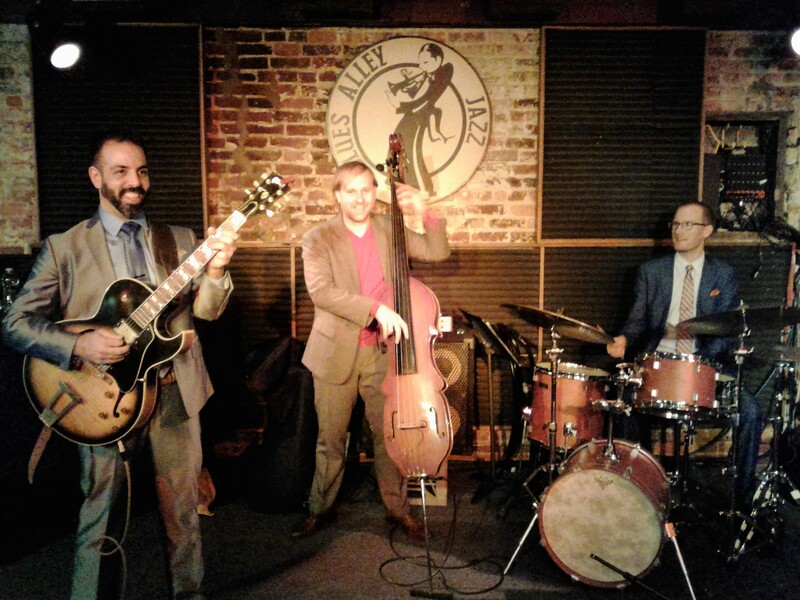 Bassist Williams, with cohorts Lenny White, George Colligan and Bruce Williams, continues his stay at Blues Alley tonight through Sunday, while trumpeter Lamkin plays tonight and tomorrow, Saturday, March 3 at Twins Jazz. Tonight, at Rhizome (www.rhizomedc.org), in upper Northwest, saxophonist Hughes plays with drummer/percussionist Nate Scheible as part of a show featuring avant genre music with Eve Essex, Kayla Guthrie and Praxis Cat. 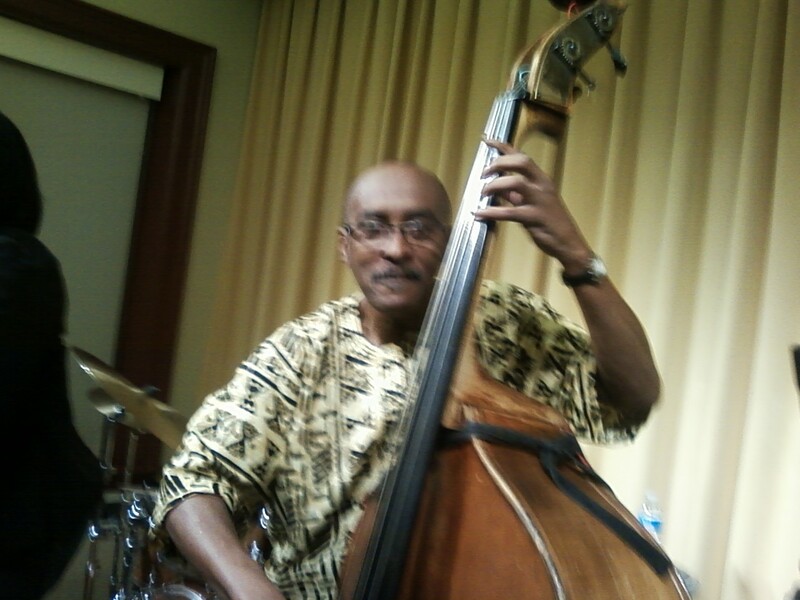 Hughes also performs Sunday, March 4 at Twins Jazz. Also this weekend, vocalist Shacara Rogers performs Saturday night March 3 at The Alex at The Graham Georgetown Hotel, while also Saturday at the Kennedy Center Jazz Club, the Mingus Big Band performs under the direction of Sue Mingus, and on H Street at the Atlas Intersections Festival, in the Free Café concerts, Britney Allen & Herman Burney perform at 5 p.m., with Hope Udobi playing at 7 p.m.
WWJF events get started with the Young Artist Showcase and Jam Session 12 to 3:30 p.m. Saturday March 10, presented by the Levine School of Music at the Town Hall Education Arts Recreation Center (THEARC/www.thearcdc.org)) at 1901 Mississippi Ave. S.E. 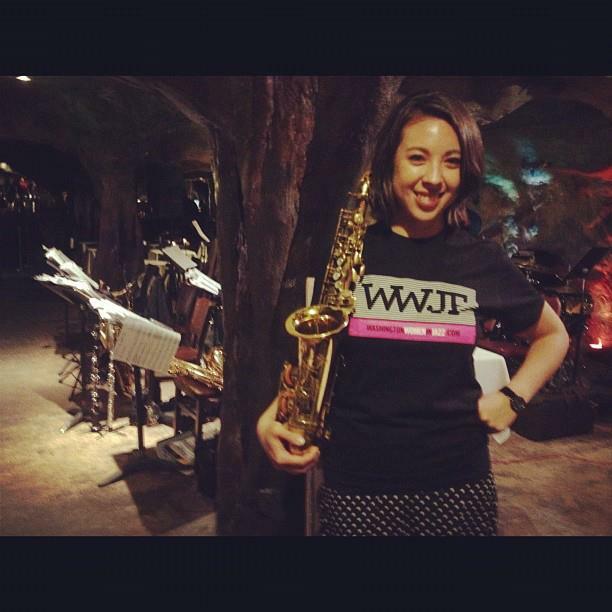 The showcase, admission $5 at the door, is “for emerging jazz women musicians in high school and college,” with selected artists performing with the WWJF trio, meeting and getting advice from professionals and hosting a jam session according to WWJF information. 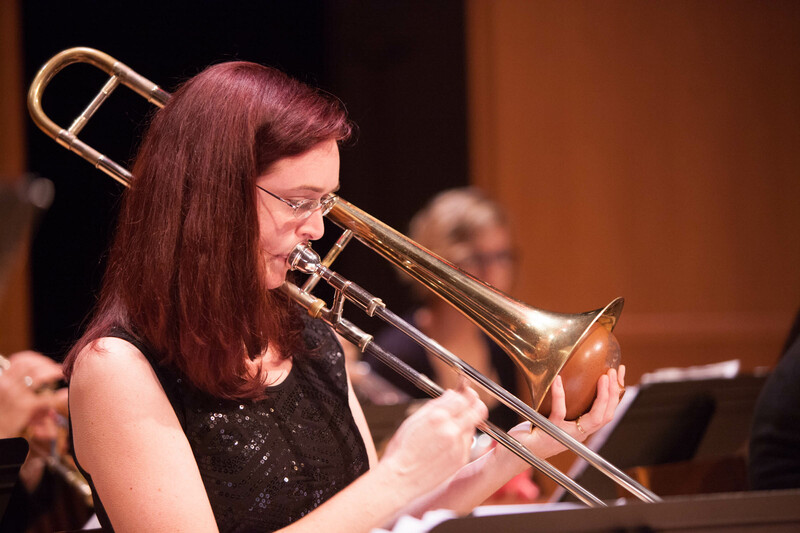 Later Saturday, March 10, trombonist/bandleader/composer Shannon Gunn presents a Tribute to Women Composers in a free show from 6 to 8 p.m. at the Smithsonian American Art Museum downtown. the Music Business Panel with singer/songwriter/cellist Shana Tucker, March 12, Southeast Library; bassist Judith FerstlAustrian Cultural Forum, March 13, Embassy of Austria; Shana Tucker, March 14, Hill Center; Amy K. Bormet’s Ephemera/Isabel Escalante, March 16, Georgetown University; Leigh Pilzer/WWJF All-Stars, March 16, Westminster Presbyterian Church; the Bohemian Caverns Jazz Orchestra and works by composers/musicians Anna Webber and Angela Morris. 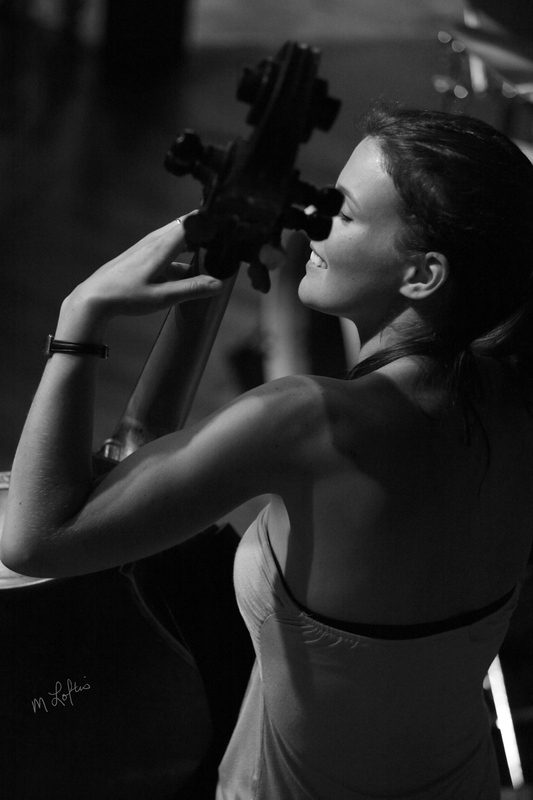 March 17, THEARC; Sarah Hughes “Coy Fish” Album Release, March 18, Rhizome. 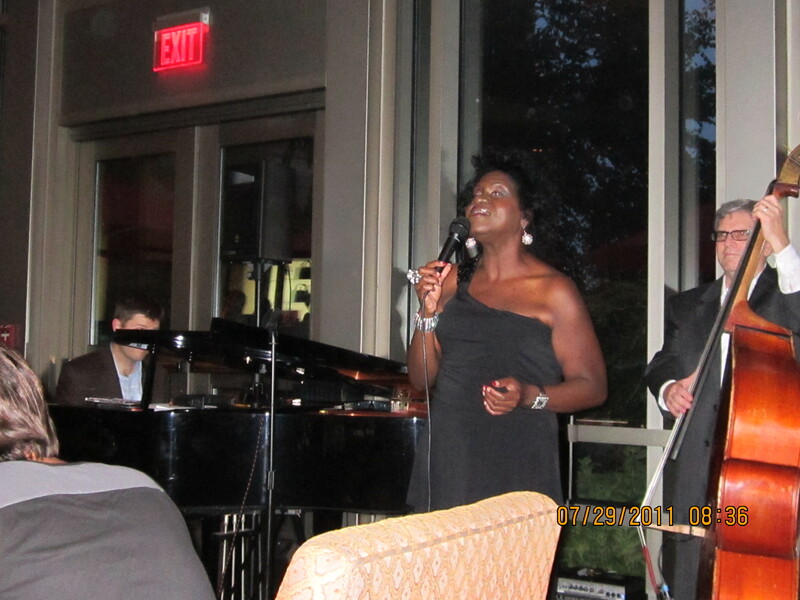 See http://www.washingtonwomeninjazz.com for complete information. 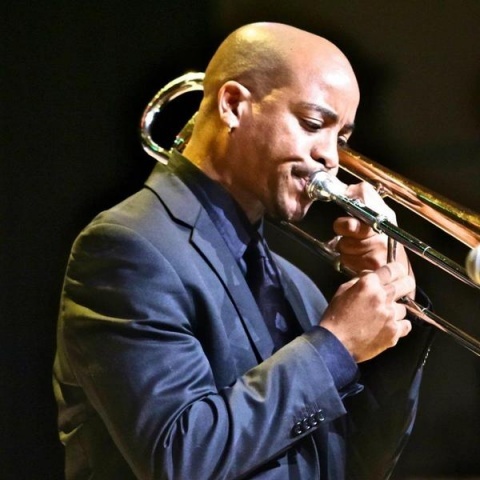 A new monthly jazz series is making waves East of the River, thanks to Vernard Gray of East River Jazz and the Anacostia Arts Center. 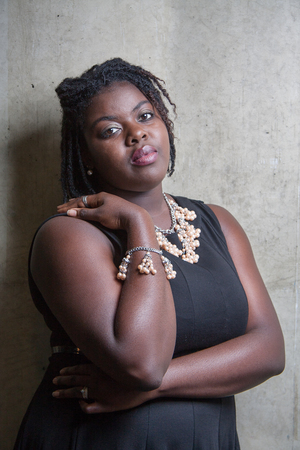 The next concert in the series, which occurs the second Sunday of each month through September, is at 3 p.m. March 11 at the Anacostia Arts Center. The show, “A Sunday Kind of Love,” features The Lovejoy Group and songstress Karen Lovejoy, a longtime favorite for her soulful, sultry, distinctive phrasing. Lovejoy’s band, including Jerrold Allen, piano, Emory Diggs, bass and Steve Walker, drums. will be performing classics by Dizzy Gillespie, Horace Silver, Carlos Jobim, Sergio Mendes and others. 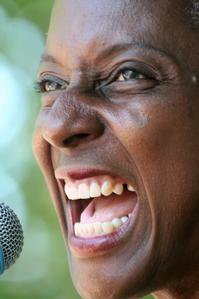 For more information, go to http://www.eastriverjazz.net or http://www.anacostiaartcenter.com , or call 202-262-7571. 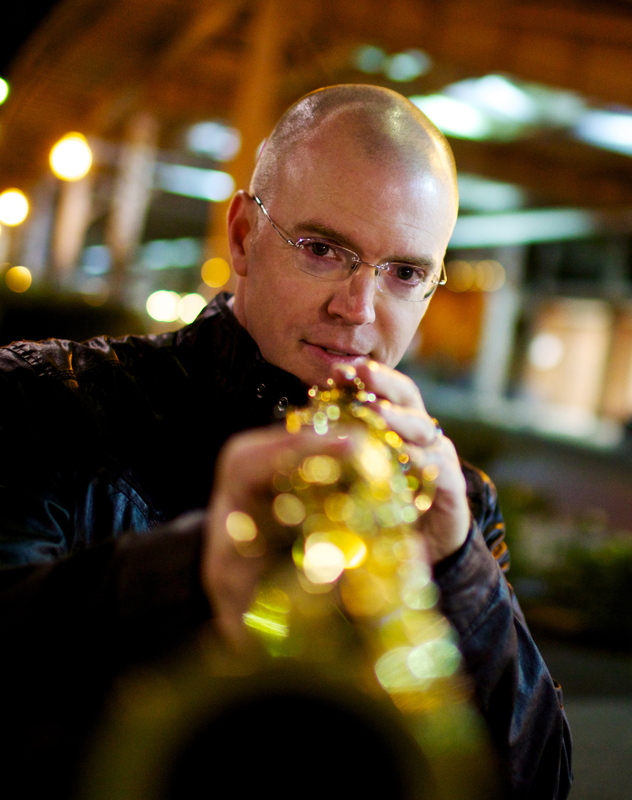 Corcoran Holt CD Release, March 29, Bethesda Blues & Jazz … Ricky Ford Quartet, March 30-31, Twins Jazz; Howard University Jazz Ensemble, March 30, Westminster; Night at the Movies/Buck Hill, March 30, Westminster. Among our annual best New Year’s wishes, a special best wish and thank you went out to John Conyers Jr., a longtime Democrat in the House of Representatives who has stepped down from his post. We thank Conyers for being the highest-ranking best friend our music has ever had. His signature accomplishment for our musical heritage was sponsorship of the 1987 Congressional legislation known as H.R. 57, which honors jazz as a national treasure. Besides the accomplishments Conyers achieved during his long and distinguished career for the great state of Michigan, and the nation, we owe him many thanks for his putting jazz firmly in the national spotlight. And it is now up to all of us to pick up the ball and push his efforts ever forward. 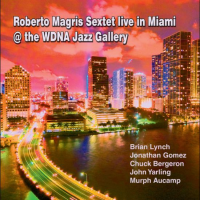 One notable release last month was the “Roberto Magris Sextet Live in Miami” CD on the JMoods Record label. 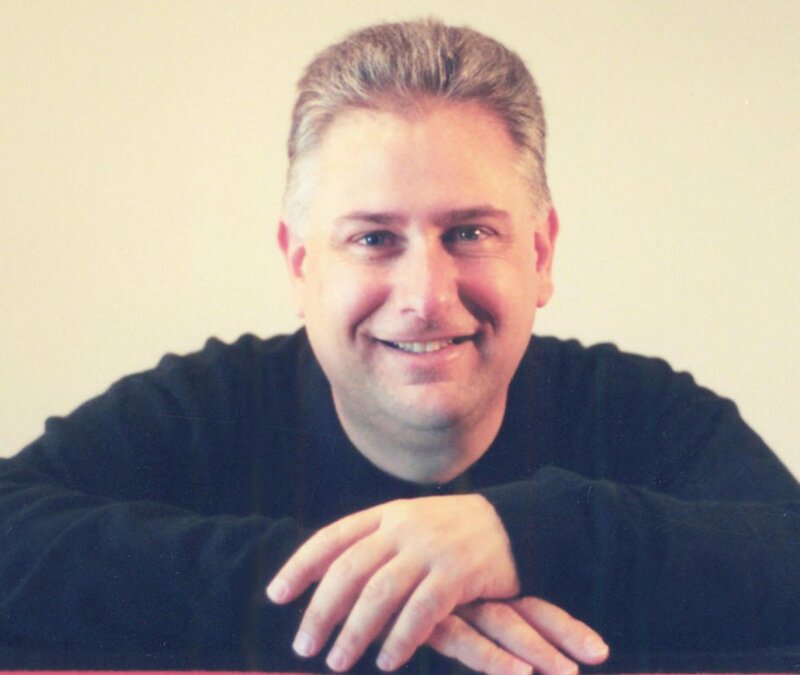 The internationally acclaimed pianist Magris, musical director for JMoods Records, which is based in Kansas City, has fashioned another winner in his illustrious recording career. 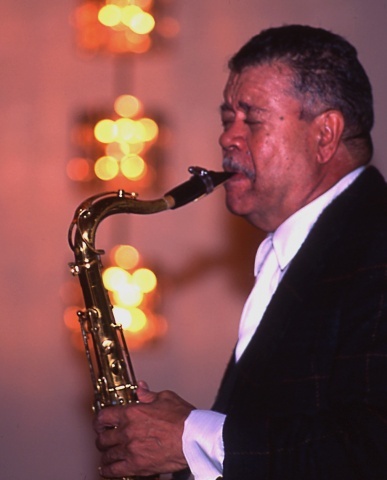 Having played far and wide with many of the greats in the jazz world — including our own sax man Paul Carr, featured on the Magris 2010 CD “Mating Call” — Magris shines on the “Live in Miami” CD, recorded at the WDNA radio station’s Jazz Gallery with his clean, elegant, rippling and melodic piano runs. He is ably backed by Brian Lynch, trumpet, Jonathan Gomez, tenor sax, Chuck Bergeron, bass, John Yarling, drums and Murph Aucamp, congas. Indeed, Magris original “African mood” truly whips things into high-intensity gear under the relentless, rolling melodicism of Magris’ piano, and grooving bass of Chuck Bergeron, the percussion of Yarling on drums and Aucamp on congas, and the soaring horns of Lynch on trumpet and Gomez on tenor sax. Lynch especially flies again on “What blues,” while Magris gets down for some soulful bluesy runs on piano. “April morning,” the Rahsaan Roland Kirk tune, features some deft, lilting, entrancing interplay between Magris, Lynch and Gomez, with Magris at his melancholy best, urgent, squeezing emotion out of every note, and Bergeron’s solo a true gem. “Chachanada,” a majestic composition, whips the ride back into a Latin romp, led by the horns and Magris’ often frenetic, but always artful ripples, with Gomez then pushing his tenor higher and higher and Lynch’s pure, smooth lines framing Magris’ piano runs and Aucamp’s conga songs. A meditative beauty here is Billy Strayhorn’s “A Flower is A Lovesome Thing,” with Magris ruminating with more than a touch of Monk in a florid, kaleidoscopic solo treat. See wwwjmoodsrecords.com for more information. –from the chapter on Buck Hill, in “Violet Avenues: A Poetry of Jazz,” by Stephen A. Monroe, copyright, 1998, Washington, D.C.
One can celebrate our Black History Month in D.C. this February in a number of ways, notably by visiting the Felix E. Grant Jazz Archives at the University of the District of Columbia, the Library of Congress and other locations to explore the recordings and documents and photographs of jazz. And you can attend live events celebrating the ongoing legacy, the living history, of this original Black American art form. 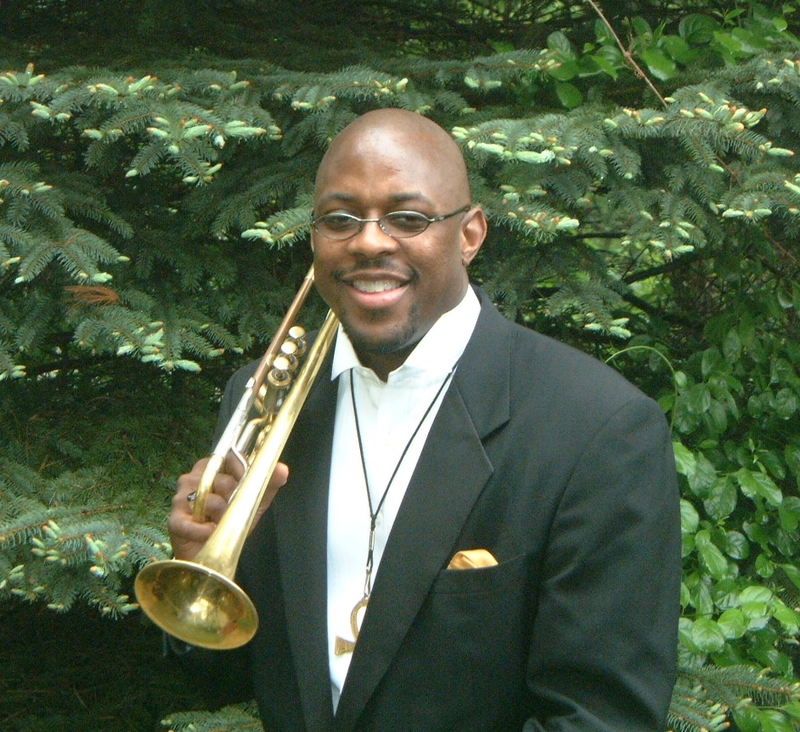 Michael Thomas, who performs at Westminster Presbyterian Church Feb. 2, and at Twins Jazz Feb. 9-10. 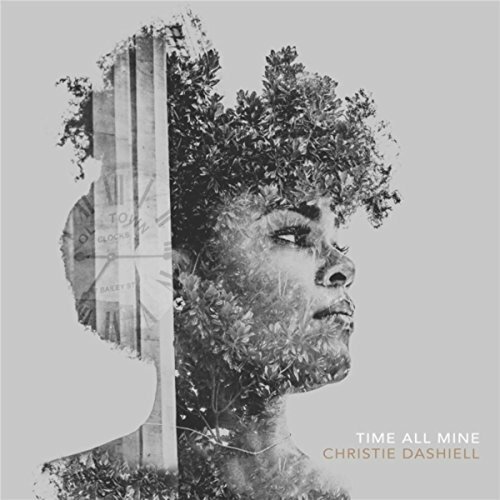 Christie Dashiell appears Feb. 2-3 with John Lamkin III’s group at An Die Musik in Baltimore. Elsewhere this weekend, Ben Sher Quartet plays at Twins Jazz tonight, Feb. 2 and tomorrow, Feb. 3, the John Lamkin III Trio w/ Christie Dashiell Celebrates Black History Month show is at An Die Musik in Baltimore tonight and tomorrow; vocalist Paige Wroble appears tomorrow, Feb. 3, at The Alex/Georgetown Graham Hotel and veteran saxophonist Marty Nau is at Twins Jazz Sunday night, Feb. 4. Also this weekend is the closing of “The In Series: All the Things You Are: Jerome Kern” Friday through Sunday at the Atlas Performing Arts Center. Rhizome is at 6950 Maple Street N.W., and tickets are $25, for dinner and performances, $15 for music only. See http://www.rhizomedc.org for complete information. Events coming up in the next week include: … Thad Wilson, Feb. 8, Bethesda Blues & Jazz Supper Club; Lena Seikaly – Steve Herberman Duo, Feb. 8, Blues Alley; Michael Thomas Quintet, Feb. 9-10, Twins Jazz; Steve Washington, Feb. 10, The Alex/Graham Georgetown Hotel; Musical Tribute to Black History’s Forgotten Heroes/Carter G. Woodson, Rev. Jesse E. Moorland, Jack Johnson, Joe Louis and more, Feb. 11, Anacostia Arts Center. –from “Great Black Music and the Desegregation of Washington, D.C.” by Maurice Jackson in Jazz in Washington, a 2014 publication of the Historical Society of Washington, D.C.
Tickets are $30 for the Feb. 10 event in the Terrace Theater. 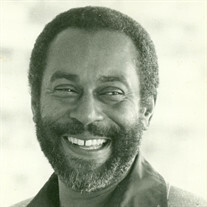 See http://www.kennedy-center.org for more information. 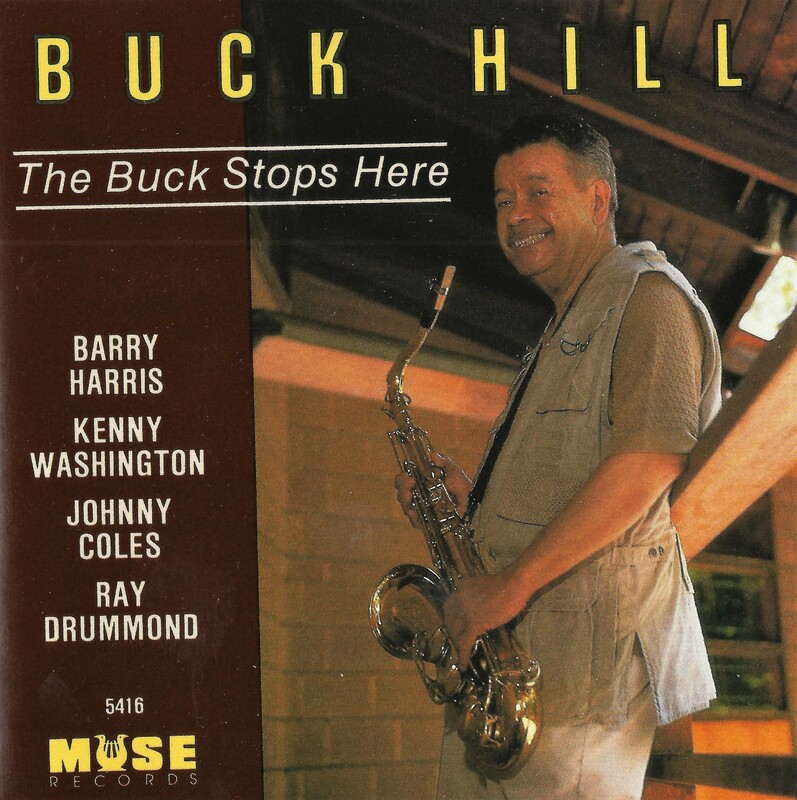 The Buck Hill tribute Feb. 23 at Westminster honors Hill, our own Jazz Master saxophonist, bandleader and composer who passed to ancestry a year ago, featuring Davy Yarborough, sax, Michael Thomas, trumpet, Cheyney Thomas, bass, Jon Ozment, piano and Keith Killgo, drums. For more information see http://www.westminsterdc.org. 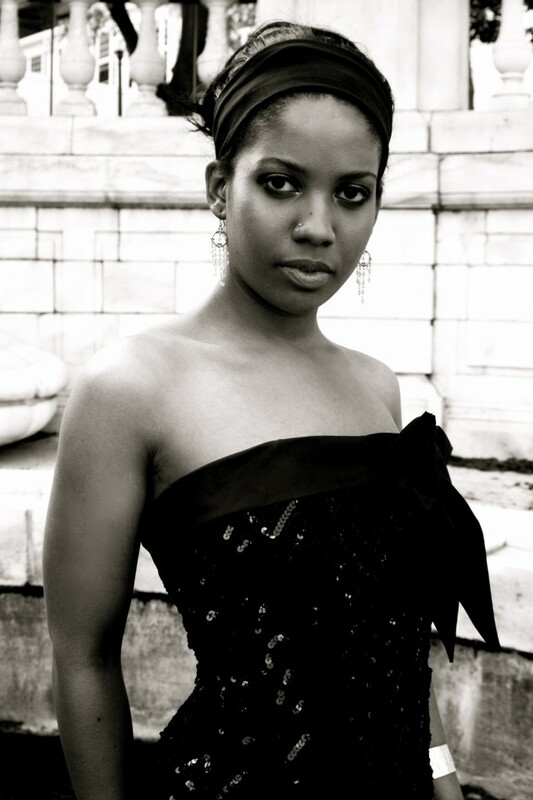 … Integriti Reeves, Feb. 18, Blues Alley … Three’s Company/Gail Marten, Feb. 18, Overlea Senior Center/Baltimore … Allyn Johnson/Meet the Artist on the Bandstand—Michael Bowie, Feb. 20, UDC Recital Hall Bldg. 46-West … Noah Haidu, Feb. 24-25, Twins Jazz … Tribute to Buck Hill, Feb. 23, Westminster … Todd Marcus Quintet: On These Streets, Feb. 23, Atlas Performing Arts Center … Thinking About Jazz/Roger Wendell “Buck” Hill: The Wailin’ Mailman, Feb. 24, Westminster … Lafayette Gilchrist and the Sonic Trip Masters All Stars, Feb. 24, Atlas … Ethnic Heritage Ensemble, Feb. 24, An Die Musik/Baltimore … Tierney Sutton Band, Feb. 26, Blues Alley … UDC Small Jazz Ensembles, Feb. 27, UDC Recital Hall Bldg. 46-West … Joe Vetter, Feb. 28, Twins Jazz . 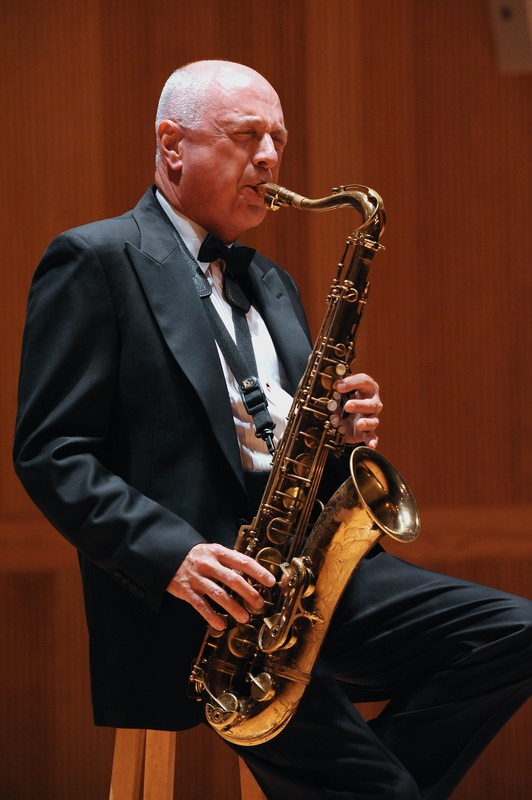 Thanks to our inimitable saxophonist, bandleader, educator and executive producer Paul Carr, the Mid-Atlantic Jazz Festival swings for three hot and heavy days again — the 9th annual! — February 16-18 in Rockville. The stars aligned to perform include Chad Carter, DeAndre Howard and the Collectors, Warren Wolf, Paul Carr himself and his Jazz Academy, Buster Williams, Jazzmeia Horn, Lydia Harrell, Braxton Cook, Nasar Abadey, Carmen Bradford, Eric Byrd, The Airmen of Note, The Lovejoy Group, Carmen Lundy, Wes Biles and more – in addition to a fascinating array of crack school bands and line dance events. 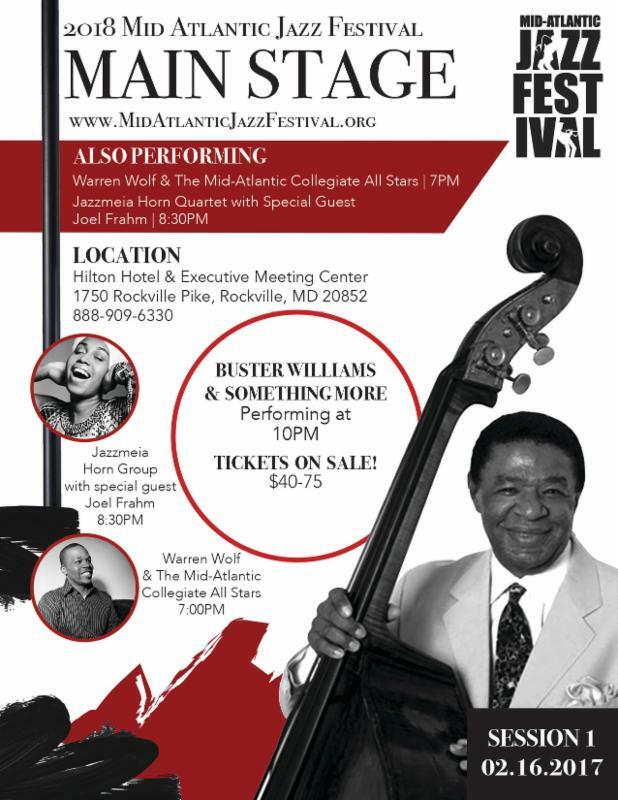 See http://www.midatlanticjazzfestival.org for complete information, free events and ticketed event information and show times. 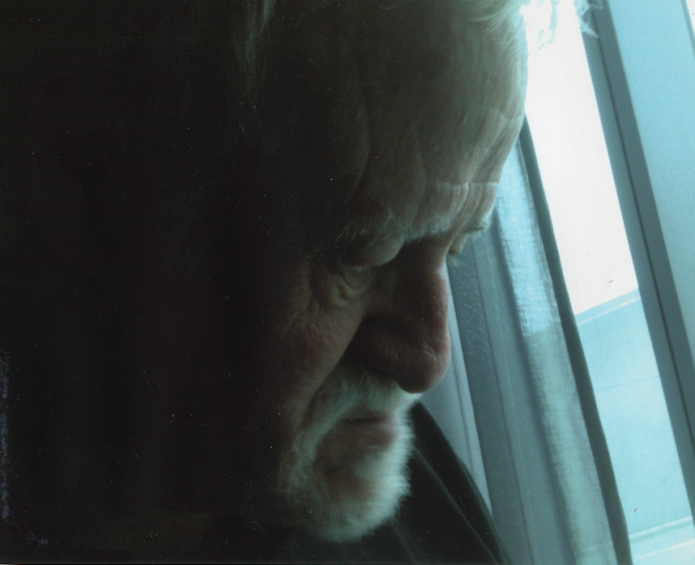 Sympathies and best wishes, also thanks in celebration for the artistry he gave us, for the family of pianist Reuben Brown who passed on last month. 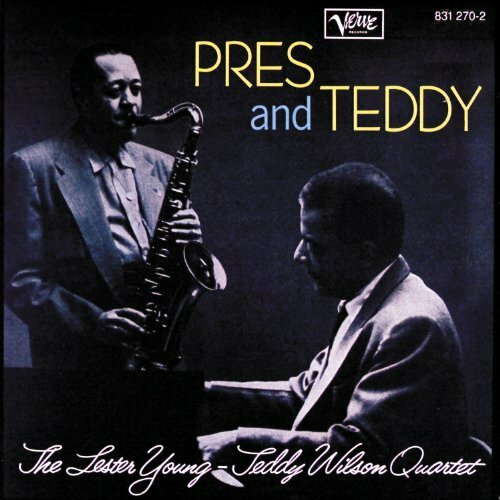 Like yours truly, a graduate of D.C.’s Mckinley Tech High School, Brown was known for his always tastefully melodic, swinging and elegant work, often at the old One Step Down. His legacy lives on in our minds and hearts and on his many SteepleChase Records and other recordings. 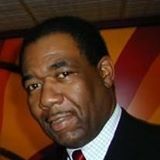 And thanks to Jazz Promo Services, http://www.jazznewsyoucanuse.com, journalist/historian/producer Bill Brower and Ellen Carter of WPFW-FM for the heads up. Our venerable award-winning Baltimore by way of Philly Jazz Master saxophonist, bandleader, composer and educator Carl Grubbs led his ensemble in a fiery set recently at St. James Episcopal Church’s Parish Hall on the Charm City’s west side, with Eric Byrd on piano, John Guo, bass and Eric Kennedy, drums. The group ripped through “Confirmation,” a down-home “Carl’s Blues,” soared again on “Ceora,” Grubbs’ alto melodic and spicy and with his vintage urgency, and stepped down again for a melancholy “Misty” with Grubbs’ alto sax cries wailing through the air before a packed crowd in the large room, the sun slanting through the vertical windows that afternoon. And then the group romped mightily on “Giant Steps,” Grubbs’ sax spearing the standard into a fiery jamming ride. 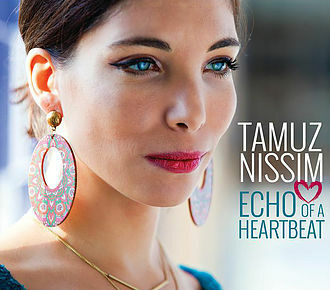 With a delicate, though frequently strident vocal delivery, Tamuz Nissim has become a notable vocalist on the scene with an engagingly glowing touch on standards and her intriguing originals. Nissim’s latest recording, “Echo of a Heartbeat” on Street of Stars Records, brims with an attractive urgency, merry in-love and loving-it melodies and aching melancholy. 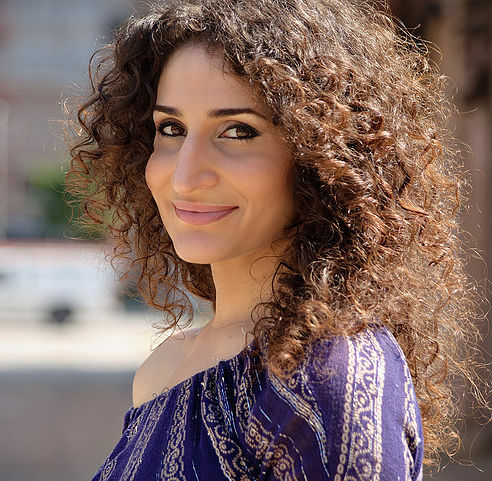 Enlarging on the acclaim from her previous CDs, “The Music Stays in A Dream” and “Liquid Melodies,” the fun starts on “Echo …” with “Time In A Bottle” with Nissim wistful and dreamy. 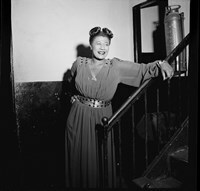 She is then fun-loving and funny on “Fried Bananas,” and “Just Squeeze Me,” and displays her compositional talent along with her vocalese skills on originals “My World,” and “In The Melody’s Shade.” The latter becomes a lilting, magical escape with Nissim’s vocal flights enhanced by the superlative backing of pianist James Weidman, Harvie S on bass and Tony Jefferson on drums. The title tune “Echo of a Heartbeat” is spiced by George Nazos’ guitar and “What A Little Moonlight Can Do,” maybe the highlight of a highly listenable album, whips into a sparkling journey, flavored by Nissim’s crystal-like, airy vocals and artful scatting. See http://www.tamuzmusic.com for more information. 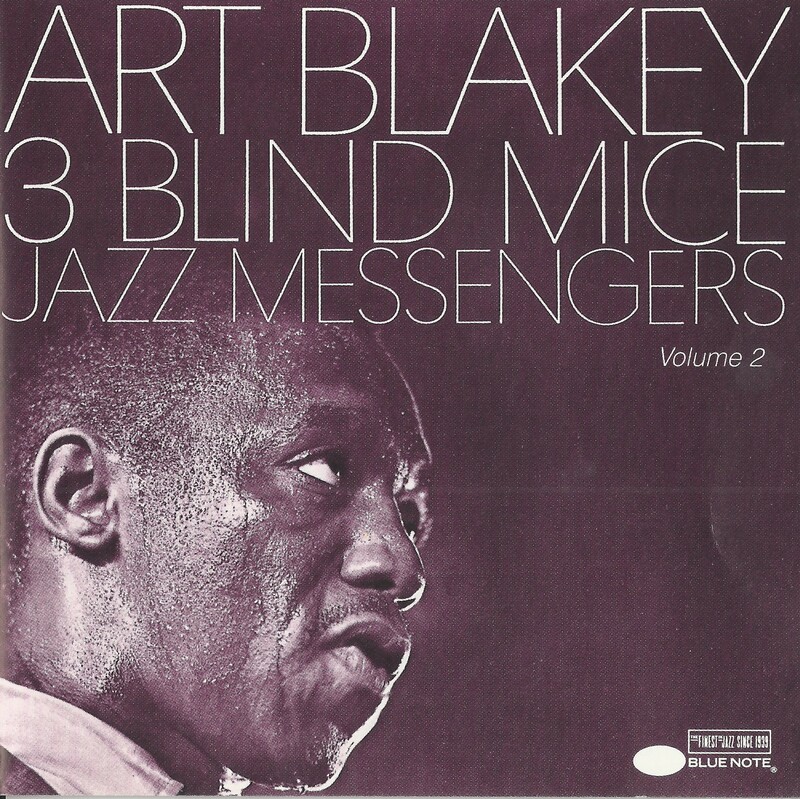 –from “Scenes of Jazz Alive,” Art Blakey’s Jazz Messengers at the Kilamanjaro, Washington, D.C. — Violet Avenues Vol. III, Spring-Summer 1988/KiBuKu Productions, by Stephen A. Monroe. 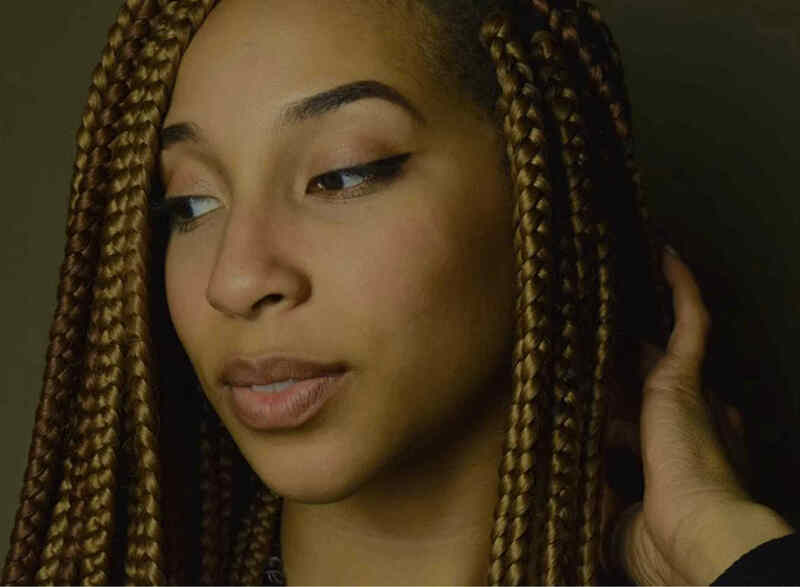 Rising vocalist Christie Dashiell, multi-talented and multi-genre guru Terence Blanchard and Irene Jalenti and The Jazz Police are some of the stars entertaining us this weekend as September swings out the door for October’s coming. 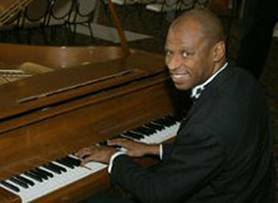 Dashiell performs at 6 p.m. tonight, Friday, Sept. 29, at Westminster Presbyterian Church with Allyn Johnson on piano, Romeir Mendez, bass and Mark Prince, drums. 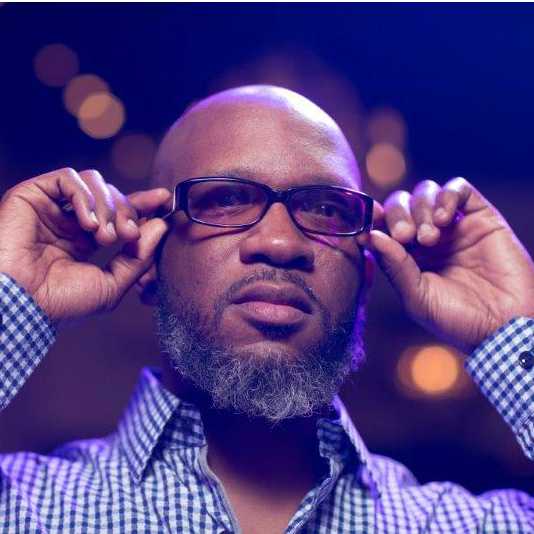 Blanchard continues his stay at Blues Alley, tonight and tomorrow, Sept. 30, with his eclectic E-Collective band at the Kennedy Center. 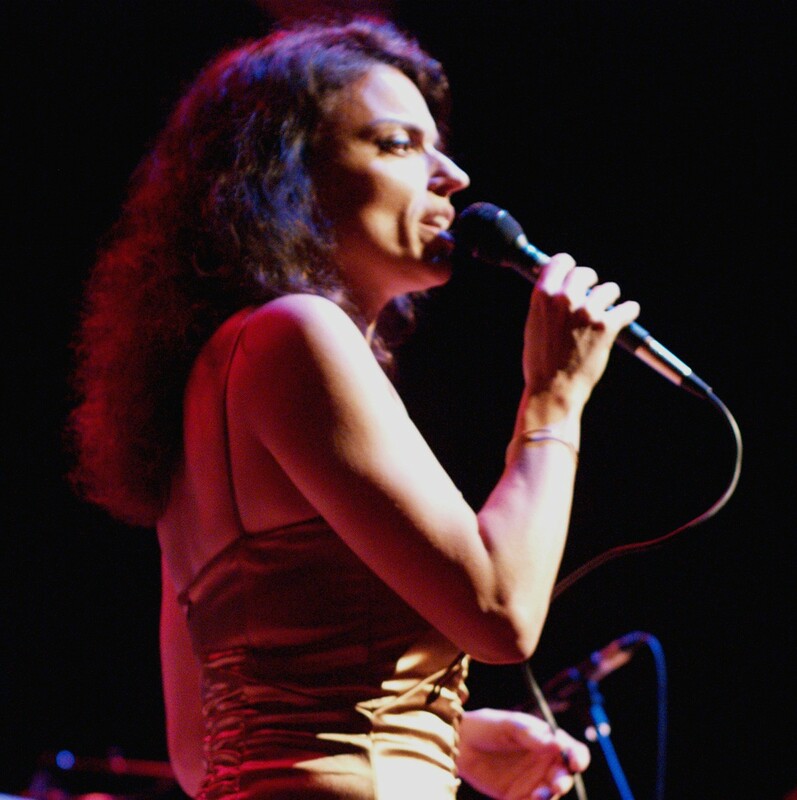 Scintillating vocalist Jalenti appears with The Jazz Police, including saxophonist Jeff Antoniuk, Alan Blackman, piano, Jeff Reed, bass and Frank Russo, drums and percussion as they explore the multi-genre music of Sting at Twins Jazz tonight and tomorrow. Also tomorrow, Saturday, Sept. 30, is the 16th Annual D.C. Jazz Preservation Festival at Westminster in Southwest D.C. See http://www.westminsterdc.org for more information. 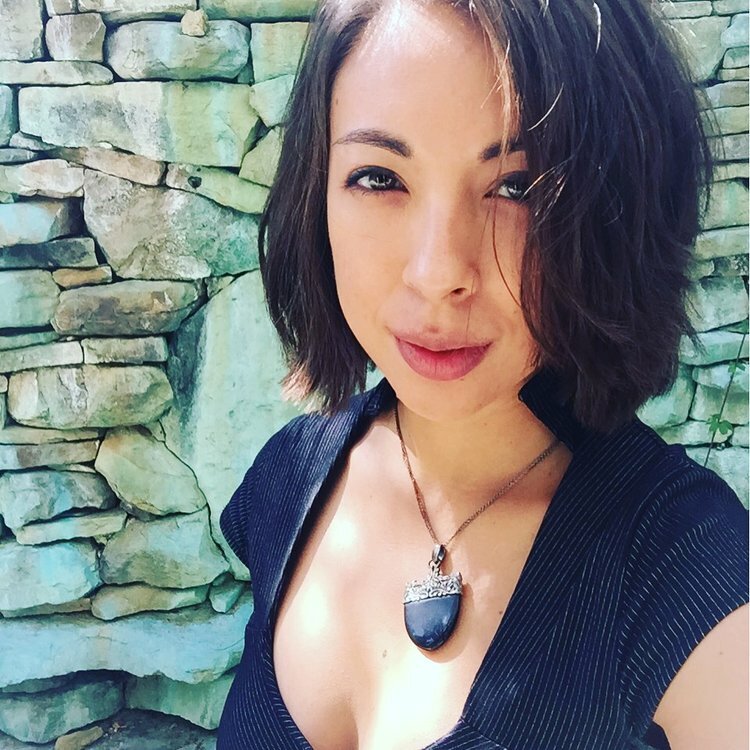 Monday night pianist Eri Yamamoto, enjoying acclaim from her CD “Firefly,” returns to the area for a performance at the Arts Club of Washington. 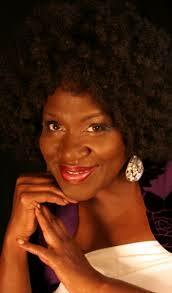 The Rhonda Robinson Trio presents “Jazz at Power of Age Expo” from 9 to 10:30 a.m. Oct. 4 at the Balt. County Dept. of Aging, state fairgrounds, in Timonium (www.contemporaryartsinc.org). 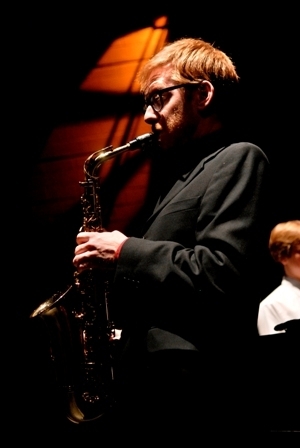 BSQ appears at Twins Jazz Oct. 4, with sax man Michel Nirenberg at Twins Oct. 6-7. A special “Fathers & Sons” show takes the stage at Westminster Oct. 6, with Whit Williams on sax, Tom Williams, drums, Charles Funn, trombone, Kris Funn—who recently released his debut CD “Corner Store” – on bass and Allyn Johnson, piano. 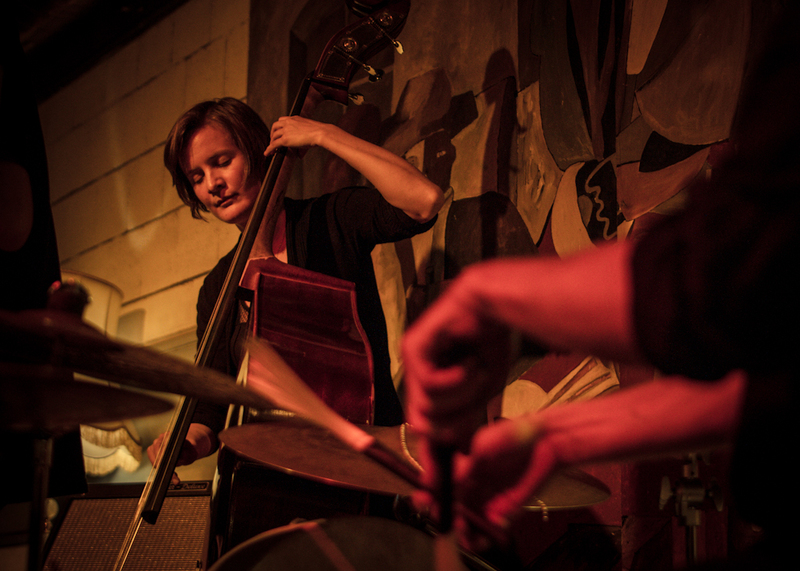 Also that night, Oct. 6, the Reginald Cyntje Group performs at Mr. Henry’s on Capitol Hill. Next weekend features the Capitol Hill Jazz Foundation Hill Fest, the brainchild of saxophonist and jazz activist Herb Scott, Saturday, Oct. 7 at Garfield Park, 2nd & F Streets S.E., from 10 a.m. to 7:30 p.m. Hill Fest, a free event, “will bring musicians together in an effort to translate performances to policy,” according to Hill Fest information, with the event beginning with a conference “addressing policy concerns that directly affect musicians on a local and national level.” A concert follows the conference, with performers including Bobby Felder and the Capitol All Stars Big Band Jazz Ensemble, the Jolley Brothers and Ben Williams, Sam Prather and Frank McComb. See http://www.hillfest.org for complete information. 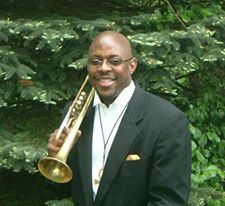 Also next Saturday Oct. 7 is the “Fall Into Jazz” concert featuring the Brian Settles Quartet, with opening artist vocalist Jessica-Boykin Settles from 6 to 8:30 p.m. at the Ambassador Baptist Church, 1412 Minnesota Ave. S.E. 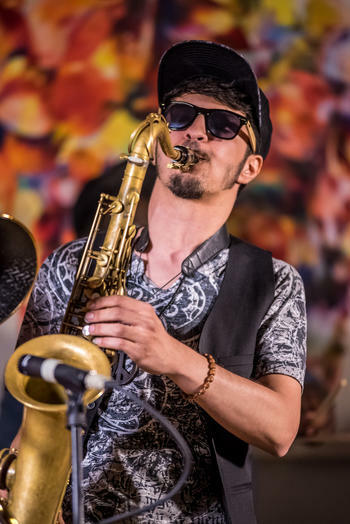 Saxophonist, composer and bandleader Settles, one of the music’s rising tenor sax stars, has released two CDs garnering excellent reviews, “Secret Handshake,” and “Folk,” and has served as an educator and mentor at the Washington Jazz Arts Institute. Admission is $35. 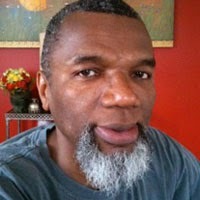 For more information go to http://www.fall-into-jazz.eventbrite.com or http://www.briansettles.com. 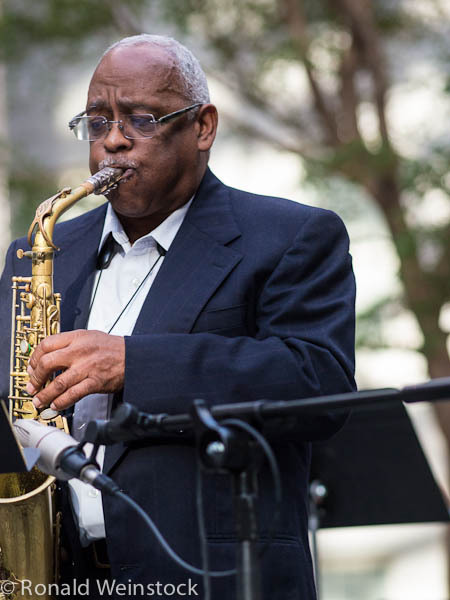 And the Smithsonian Jazz Masterworks Orchestra presents “Dizzy and Monk; The Rise of Bebop” at 7:30 p.m. Oct. 7 at the Wallace H. Coulter Performance Plaza, 1 West, National Museum of American History. 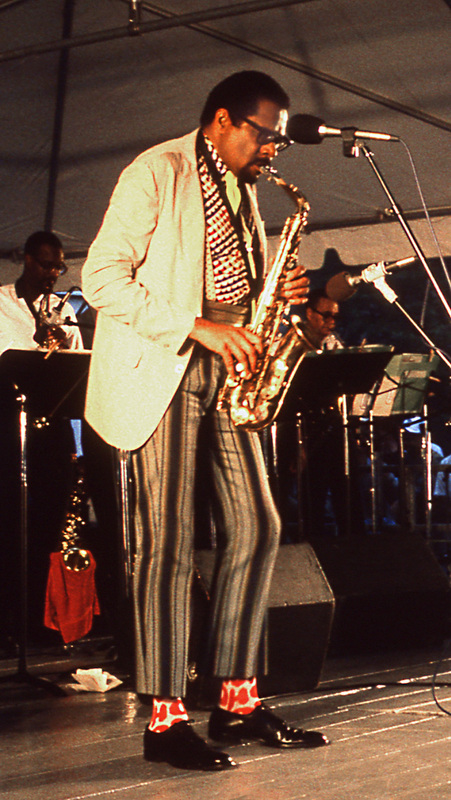 See http://www.smithsonianjazz.org for more information. Up the road a bit, vocalist Gail Marten appears in “Celebrating the Jazz Masters: Tribute to Ella Fitzgerald” from 2 to3 p.m. Oct. 7 at the Enoch Pratt Free Library/Orleans Street Branch in Baltimore (www.contemporaryartsinc.org) and also on Oct. 7 vocalist Gabrielle Goodman appears with Greg Hatza, organ, Reginald Payne, bass and Robert Shahid, drums at Caton Castle in Baltimore. 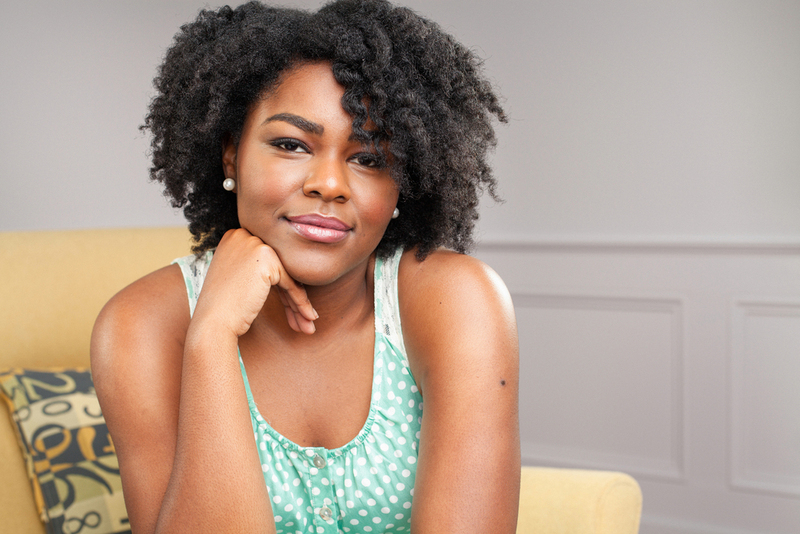 Wondering who the next top shelf pianists are? You might want to check out the Thelonious Monk Institute of Jazz 2017 International Piano Competition Oct. 9 and 10 in D.C. as the institute celebrates Monk’s 100th birthday year. The institute’s competition was launched in 1987 at Baird Auditorium in the National Museum of Natural History, so this year celebrates the competition’s 30th anniversary. The 2017 competition features some of the world’s most talented young jazz pianists performing for an illustrious judging panel that has included Herbie Hancock, Marcus Roberts, Vijay Iyer, and Chucho Valdes, among others. 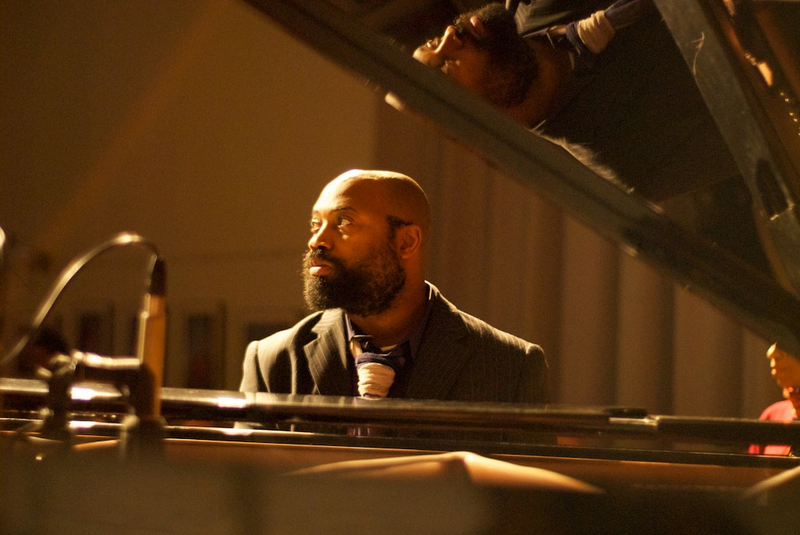 The competition promises some of the world’s most talented young jazz pianists performing for a judging panel that has included Herbie Hancock, Marcus Roberts, Vijay Iyer, and Chucho Valdes, among others over the years. The first-place award in the competition is $25,000 and a Concord Music Group recording contract; second place, $15,000; and third place, $10,000. percent of each prize will be paid directly to the winner, with the remaining funds applied toward the winner’s future musical education, according to Thelonious Monk Institute information. The semifinals, from 1 to 5 p.m. Oct. 9 at the Smithsonian’s Baird Auditorium, National Museum of Natural History, has free tickets and no advanced registration is required, with ticket distribution taking place at the door starting at 12 noon Oct. 9. The finals Oct. 10 at the Kennedy Center is a ticketed event and includes an All-Star Concert. Tickets for the finals can be purchased at the Kennedy Center box office. For more information go to http://www.smithsonianassociates.org and http://www.kennedy-center.org. “… Blakey picks up the pace. The blues turns into a boogie, with him popping, slashing cymbals right and left. Harrison wails, then Blanchard is back helping to build the tune to a fever pitch … The crowd is still, almost no one is talking. Heads are straightforward in rapt attention. The band plays standards and originals for an hour and a half, hot, straight, with no chaser. Roney’s trumpet work is melodic and precise, [Jean] Toussaint displays a blend of Rollins at his funkiest, with surprising twists and turns on tenor sax, Plaxico on a ballad takes out his bow to groan and sigh the tune into a melancholia of charm and taste. 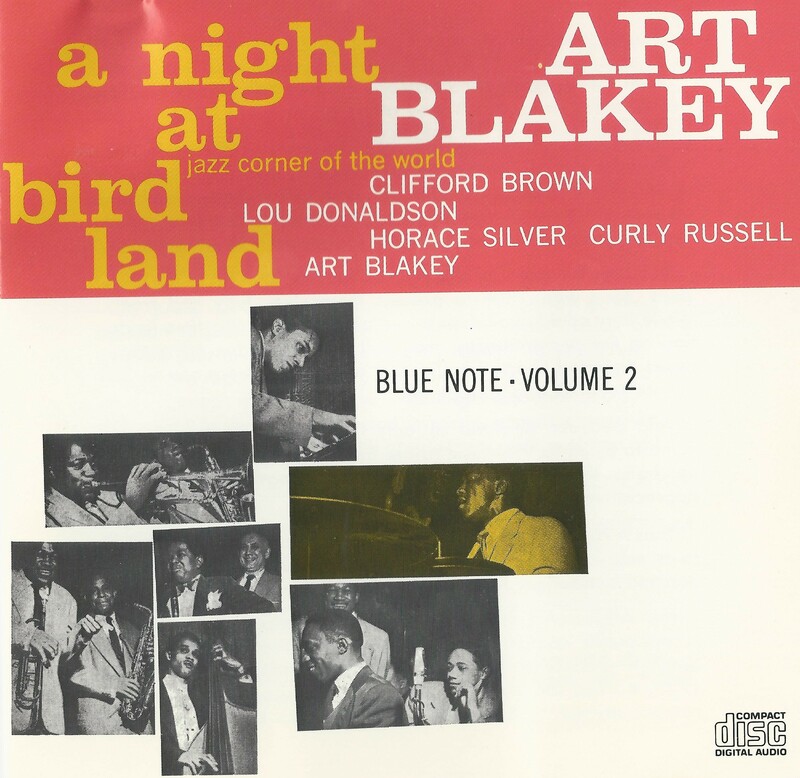 –“Scenes of Jazz Alive,” Violet Avenues Vol. III 1988. 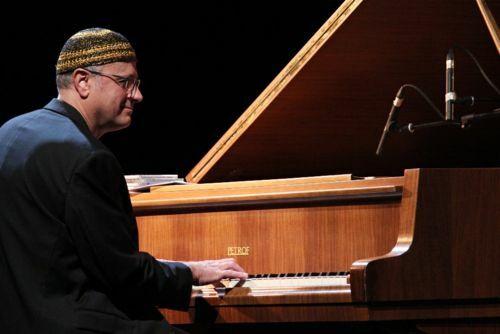 Zoller on piano and keyboards plays on the recording with Pete Gallio, and Aaron Irwinsky, soprano and tenor saxophones, Jonathan Fisher and Jeffrey Eckels, bass, and Woody Berners, drums. A first listen to Zoller’s work reveals a true touch for the lilting rhythmic feel and complexity of Monk’s music, while the overall tone and impact is lighter and airier than Monk’s hard driving deeply bluesy, rolling intensity. Zoller is a fine pianist, and his group compliments him well, especially bassist Fisher, displaying his own driving, blues on “Ugly Beauty” among other tunes. An admirable production, “Evidence,” and well worth the funding for a Monk introspective. For more information go to: https://www.indiegogo.com/projects/evidence-music-of-thelonious-monk-by-dave-zoller-vinyl-jazz/x/2409702#/. James, originally from D.C. — where he was a McKinley Tech graduate along with yours truly — is the keyboard guru for the band, which includes Mike Peters, guitar, Daryll King, bass, David Alves, drums and David Marcial, percussion. 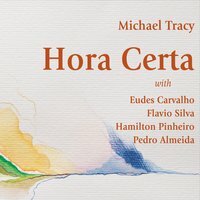 Highlights of the CD include the spicy opener, “Buttuh,” an early feature for Peters’ intriguing and bluesy guitar work and James’ rollicking piano flourishes; “Cascade” with Peters leading the way on the lilting, dreamy melody; the jamming Latin rocker “Bossative,” featuring Alves and Marcia’s percussive charms; and “Consuelo’s Dream,” another showcase for Peters’ hot licks on guitar as well as King’s grooving work on bass. When in South Florida, catch them when you can. See http://www.standing8countjazz.com for more information.